French braid is a timeless style that has been around for quite some time. The hairstyle is a common trend with celebrities and is also street style. Its a relatively simple braid that at times can be worn in such a subtle way. The beauty of French braid lies in the fact that there are several options that one can choose from. One ting that makes wearing of braids to be ideal is the fact that they can be worn for diverse occasions. 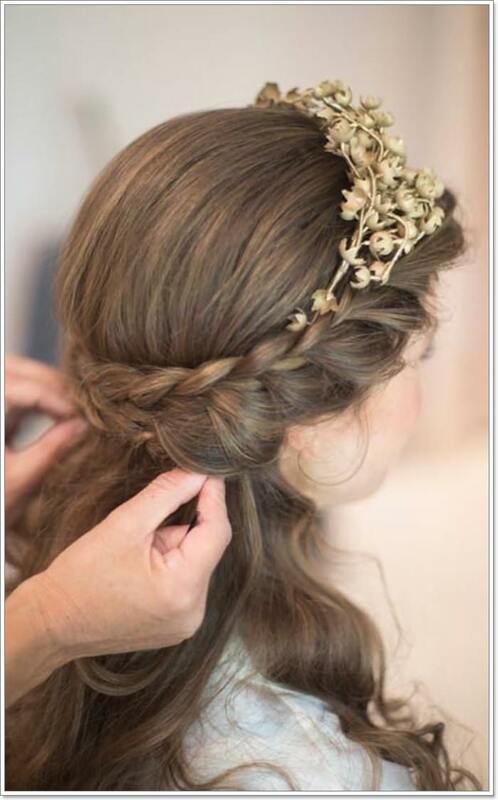 Whether you are planning for a wedding or a casual day out, there are braiding ideas that you can draw inspiration from. There are several braiding styles available and the difference lies in how they are fixed. Many people tend to confuse Dutch braid with French braid, however proper understanding of the difference is important. 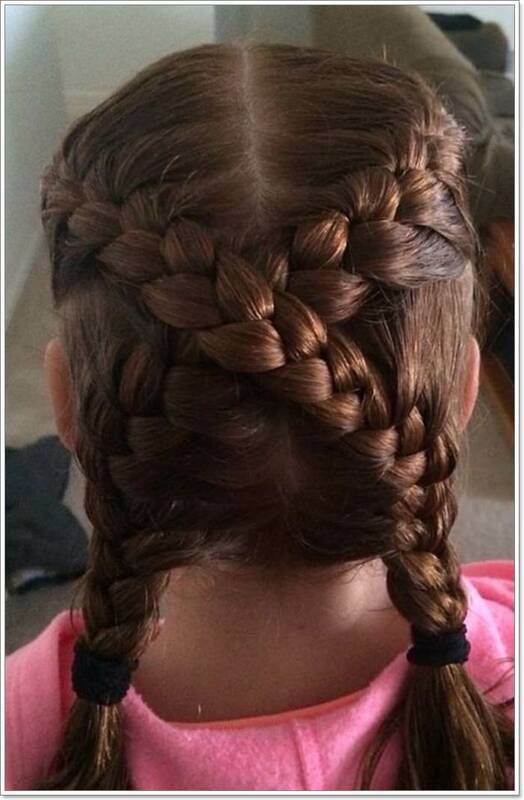 When working on french braids, you get to weave the outer sections of the hair over the top of the center section. 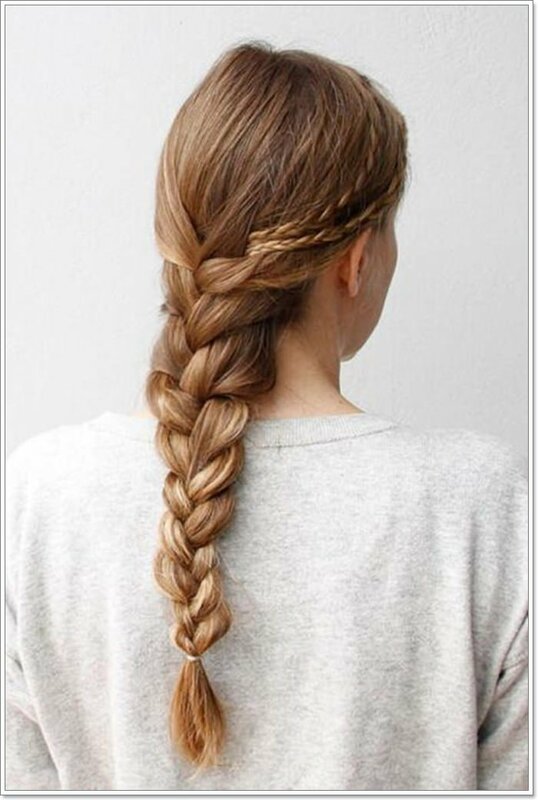 Dutch braid, however, requires that you twist three strands of hair underneath the strands. 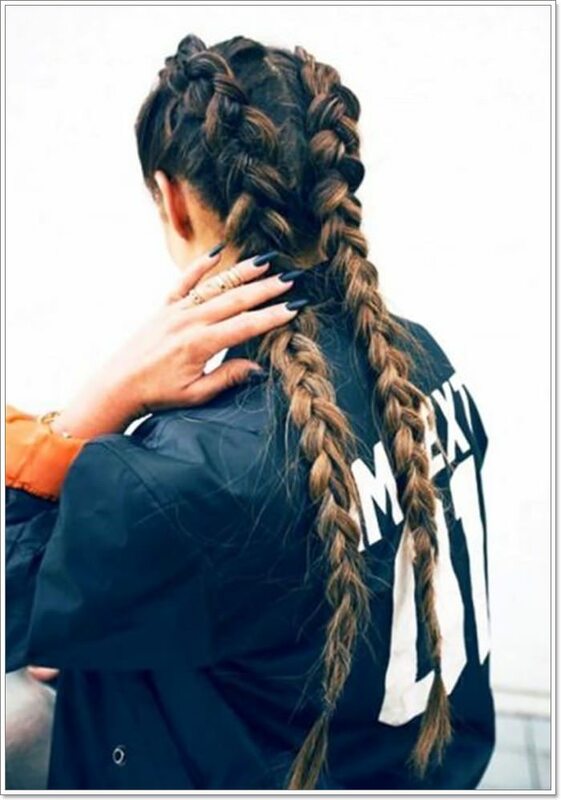 One can also combine the Dutch and French braids together for a more intricate outlook. This is a perfect style that’s suitable for casual occasions. 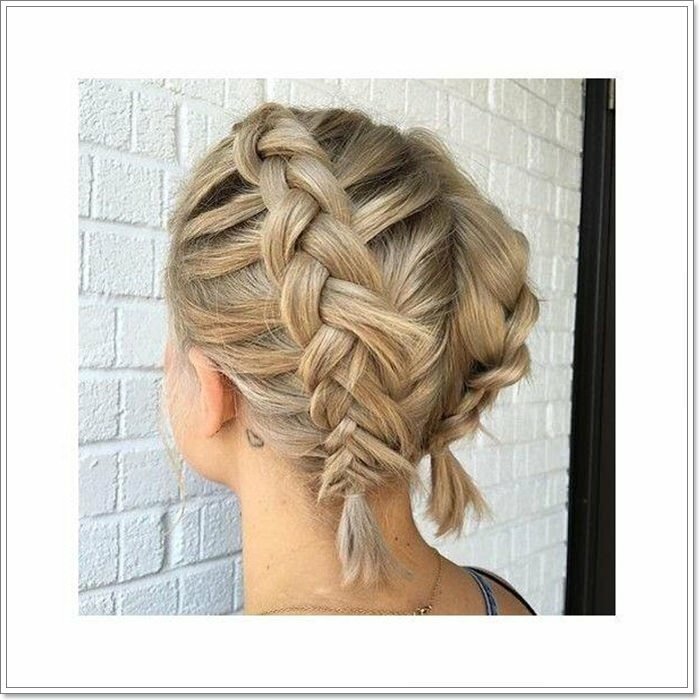 All you have to do when creating this style is to ensure that you get a grasp of the sections to braid and part them carefully. 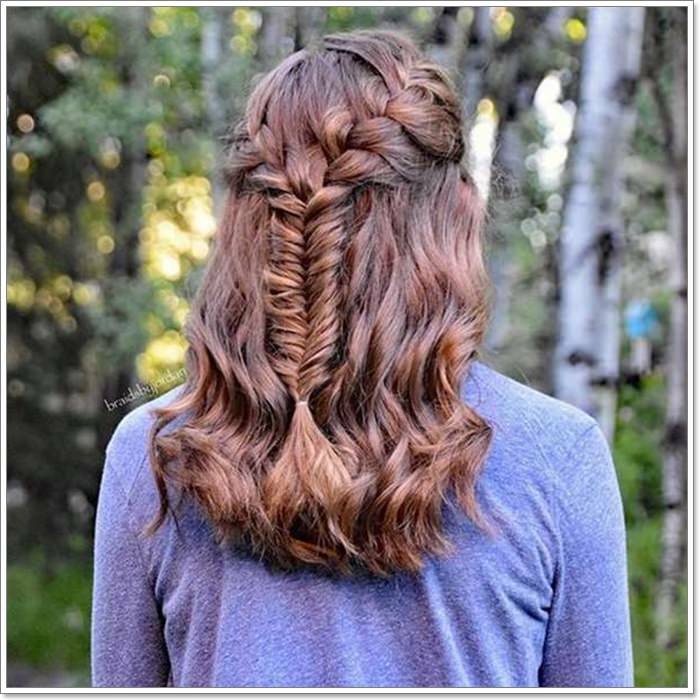 The fish tail and wavy layers in the style makes it to really pop in an adorable way. 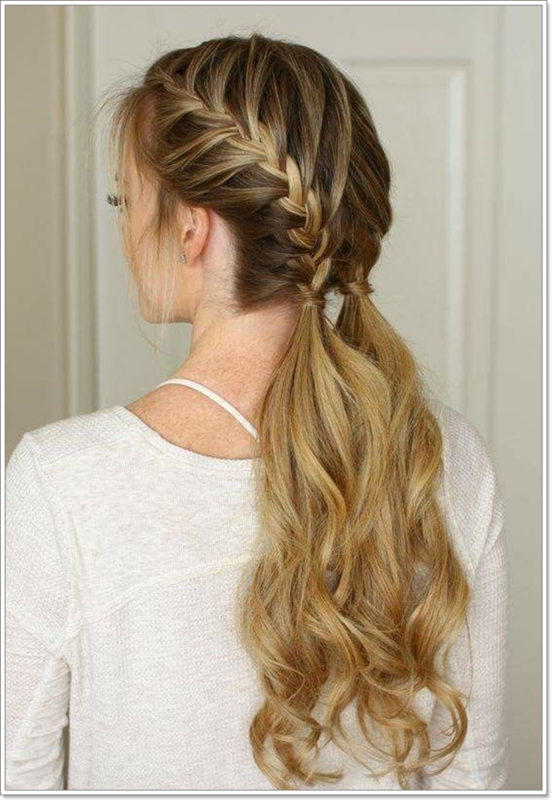 The loose single french braid looks adorable and holds the hair beautifully in place. 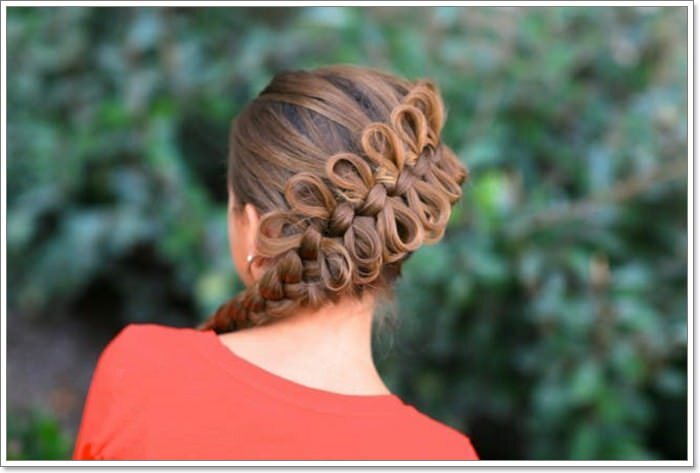 The hairstyle is fancy and suitable for a relaxed day. 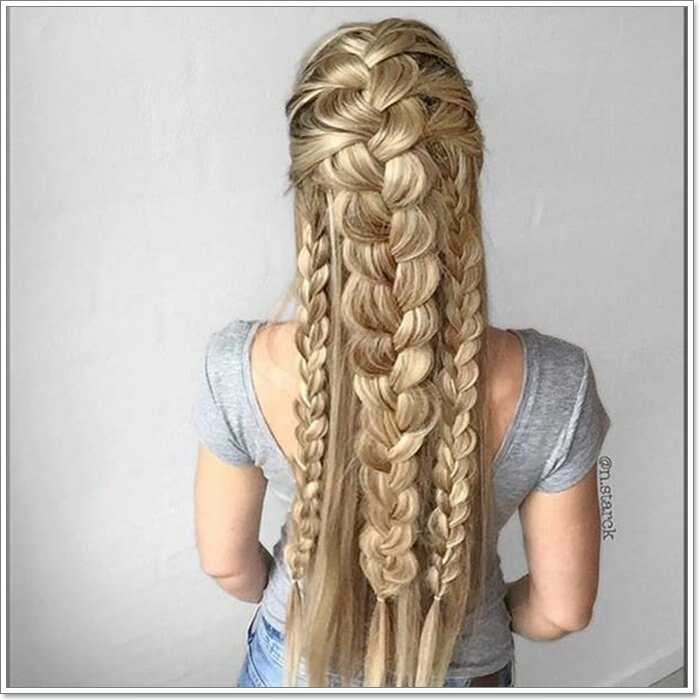 The two sections of braids are nicely held in place and flow beautifully. This is one style that ca easily be fixed without the involvement of a stylist. The tightly fixed french braid looks cool and holds the entire hair beautifully in place. The style is simple and gives an appealing youthful outlook. This style is great as it works well with a range of hair lengths. The fact that its tightly fixed helps in giving the hair dimension and shape. 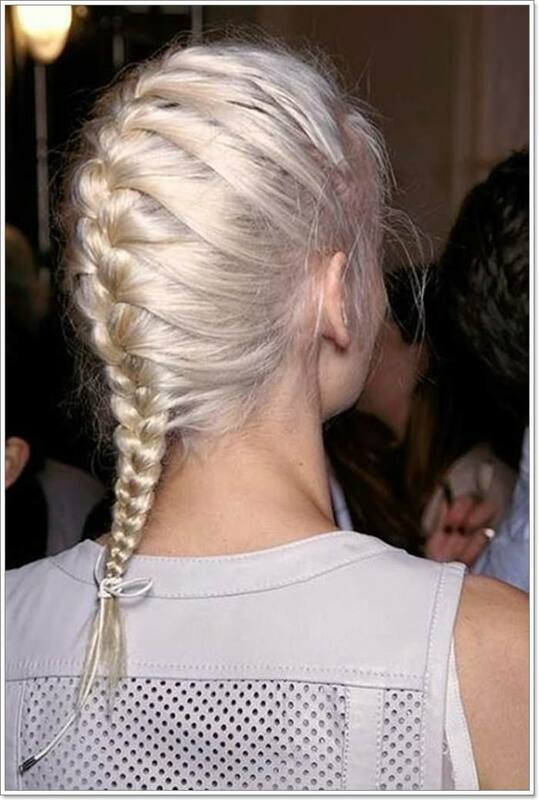 A loosely fitted side french braid that beautifully reflects the underlying hair color. The multilayered hairstyle looks cool with all the colors well blended. The loose braids help with holding hair in place and creating volume. If you have leaving some loose hair around the face then yo can consider going for the style. This hairstyle is cool and works well with long hair. The braids hold hair beautifully in place and create such a flawless look. The one section french braid also looks simple and nicely done. Managing long hair can be a challenge however with the style used, one can easily manage long hair. 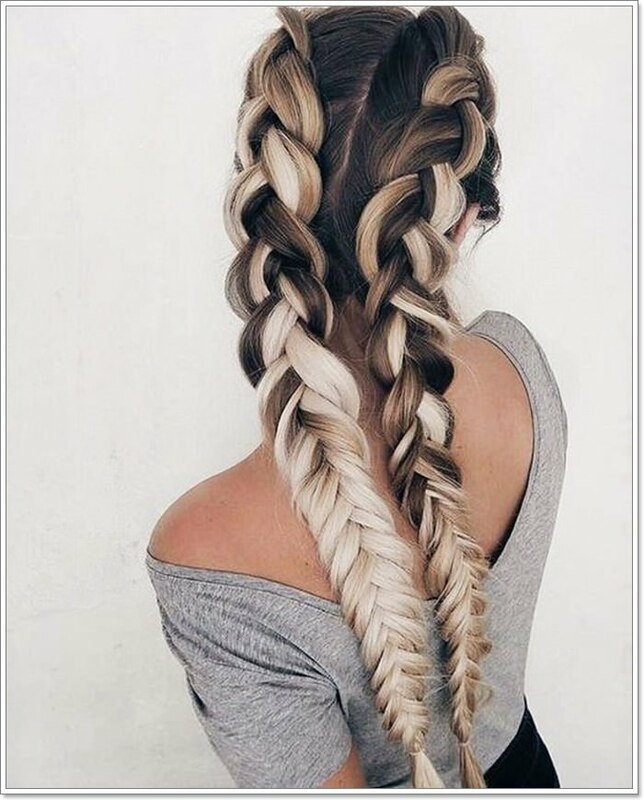 Such a magnificently styled french braid with the hair flowing effortlessly The combination of loose hair with the long braid create such a nice contrast. The overlaid braid holds all the hair nicely in place with the braid also looking tight enough. One colored braid is not just cool but also holds the hair beautifully in place. 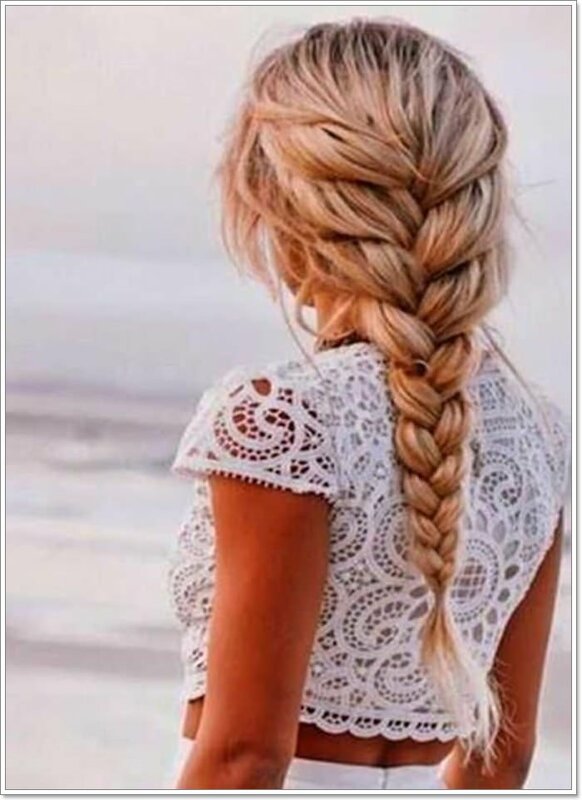 The style works well with hair that’s long enough with the braid creating a flawless outlook. As much as you can style the hair on your own, you may need o involve a stylist for an adorable outlook. 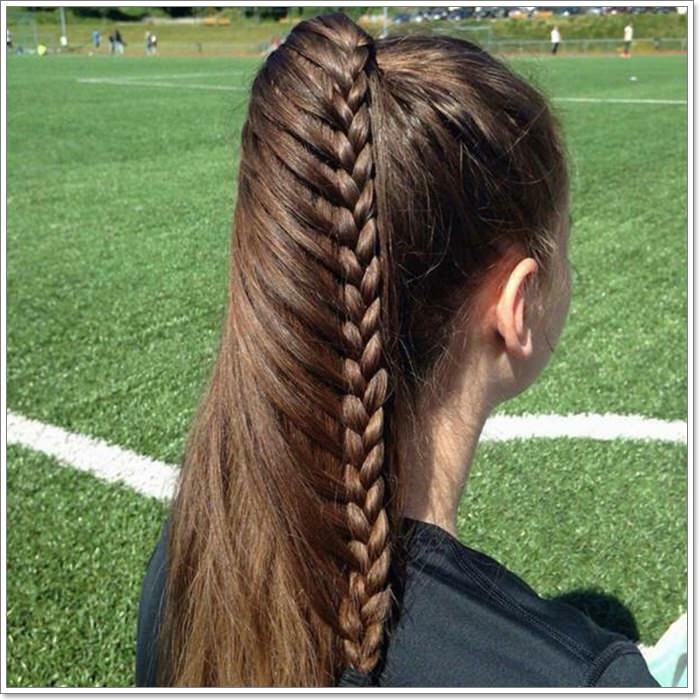 The fishtail braid is a common style that looks great with long hair. 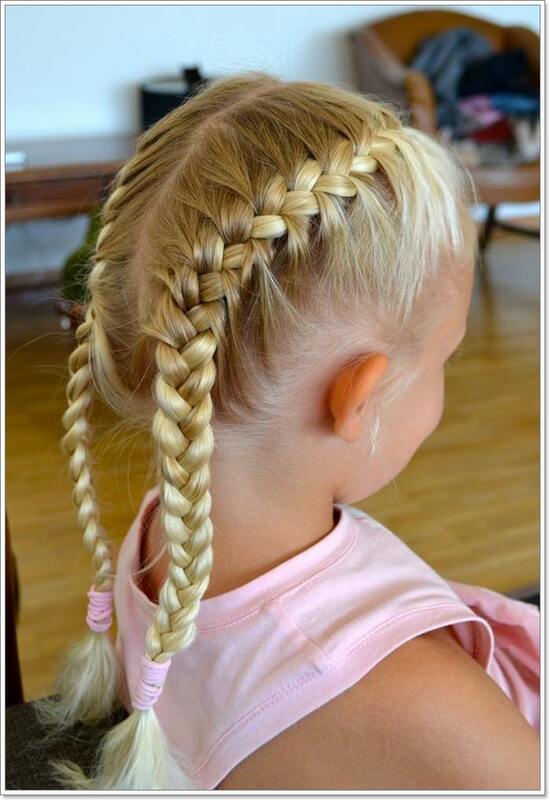 The double braid looks adorable and makes the facial features to stand out. Braiding is normally a styling option that one can opt for at any time especially for a relaxed environment. The huge braids are nicely layered and hold the low bun beautifully in place. The multilayered hairstyle is adorable with a nice blend of color that makes the style to really pop. 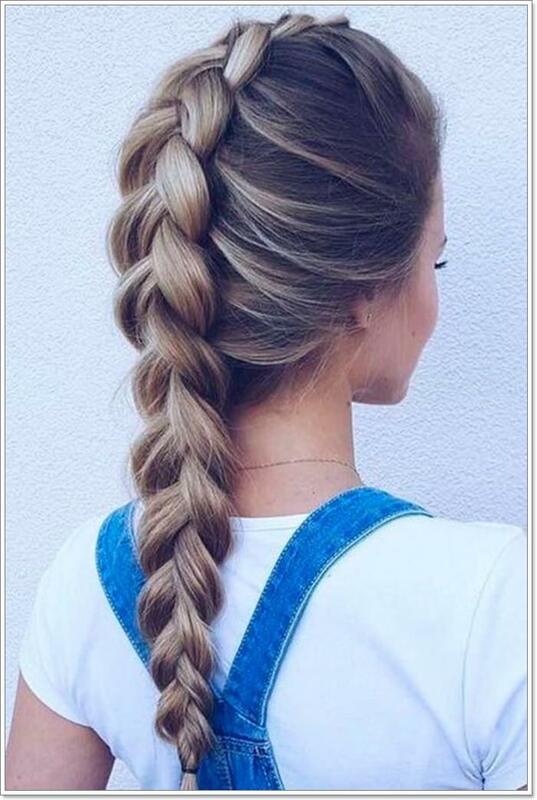 The braided part highlights the dark and golden blonde shades nicely in place. 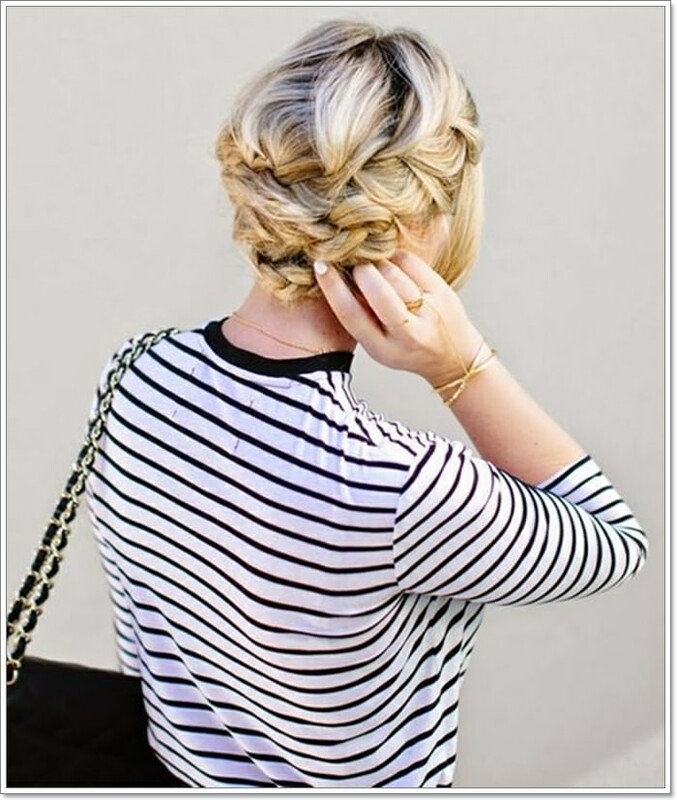 Another intricate French braid hairstyle that looks so adorable. 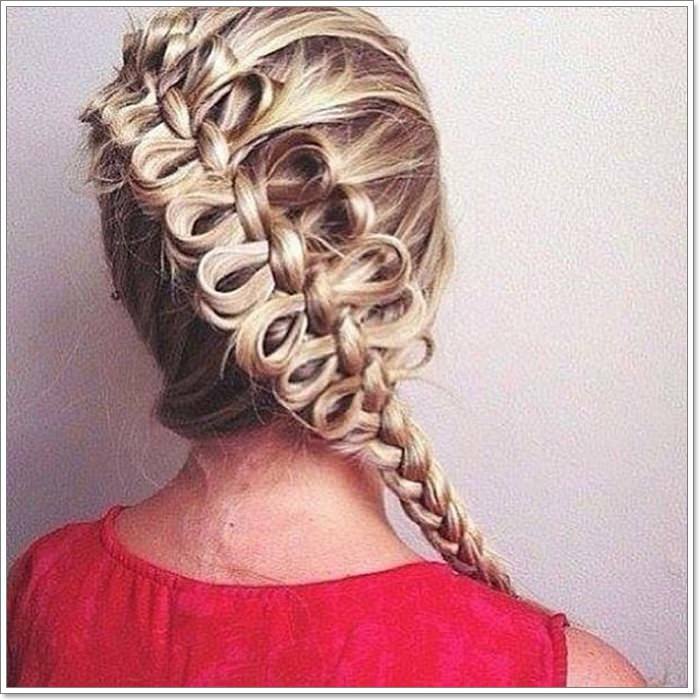 The hairstyle looks good with long hair with the beautiful knots used creating a nice contrast. Such a beautifully styled hair that is ideal for a formal as well as casual occasion. The combination of a braid a ponytail looks cute and very simple to make. 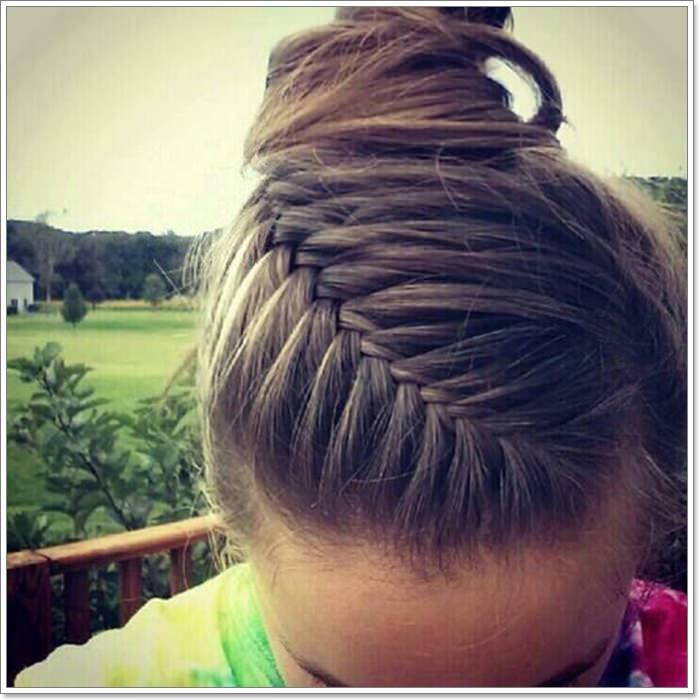 The steps below shows the steps to be followed when making a french braid. The steps are not only simple but also works well with hair that’s long or slightly long if the ponytail is to hold in place beautifully. Such an intricate braiding with different styles of braids blending beautifully in place. The golden blonde color used makes the hairstyle to sparkle with such a flawless outlook. The hair is long enough and that makes the style to flow effortlessly. 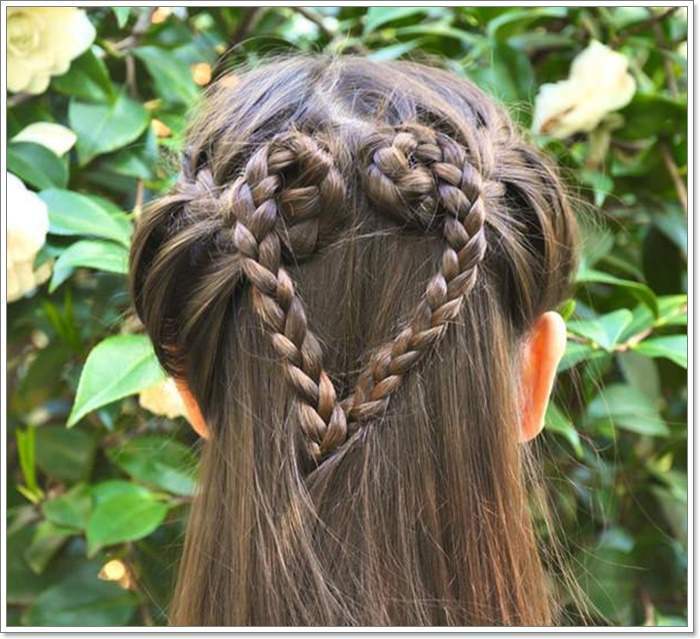 Combination of French braids and corn raws creates an adorable outlook and so ideal for a relaxed day. The raised updo with the flawless hair from the back creates a cool contrast. If you are looking for a braiding style that works for a casual look then you ca consider the one below. Having two sets of braided hair held in place in a cute ponytail is an ideal way of holding long hair in place. The loose braids look magnificent and make the straight hair to flow easily and effortlessly. This is a style that works for any occasion including a wedding hairdo. 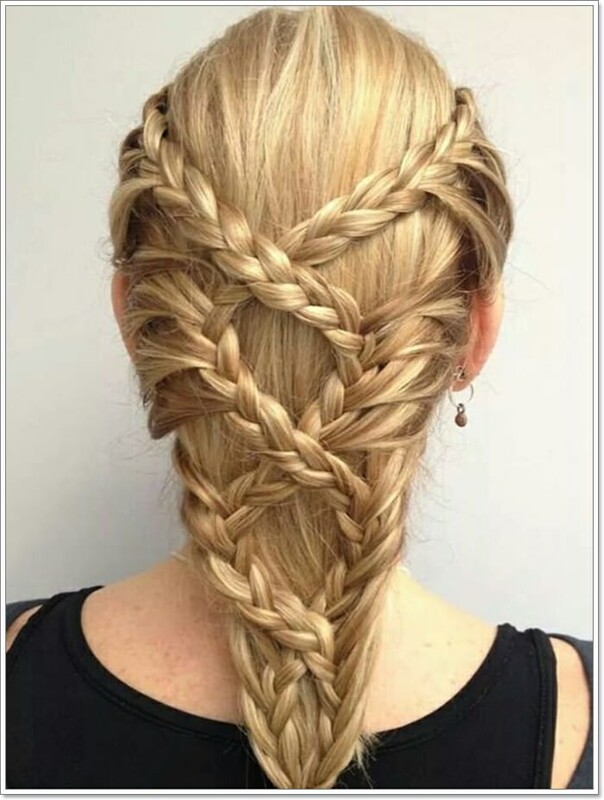 Such an intricate style with the french braid beginning from behind as it progresses upwards. 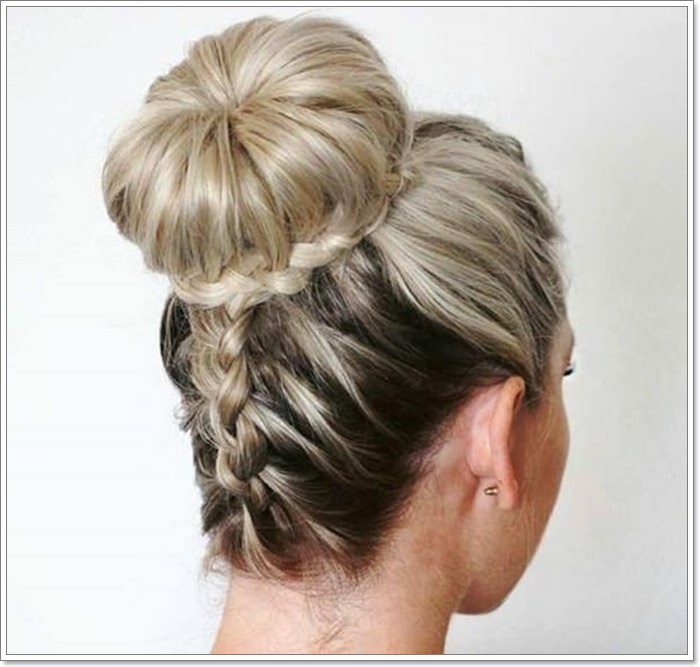 The high bun updo adds to the intricacy of the style and makes it look quite unique. The accessory used also adds to the intricacy of the style and holds the bun nicely in place. French braids can be as simple as you desire or even more intricate. 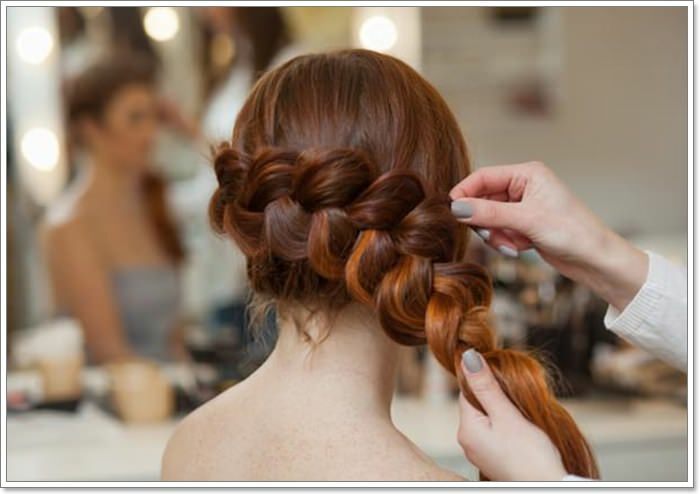 The hairstyle below is a simple version of the french braid that beautifully reveals the underlying color shades. The style looks cool and expresses such a flawless look. This is a common style with celebrities and has a beautiful combination of colors that makes the style to pop. The underlying dark shades add depth to the style and the braids make it look so relaxed. 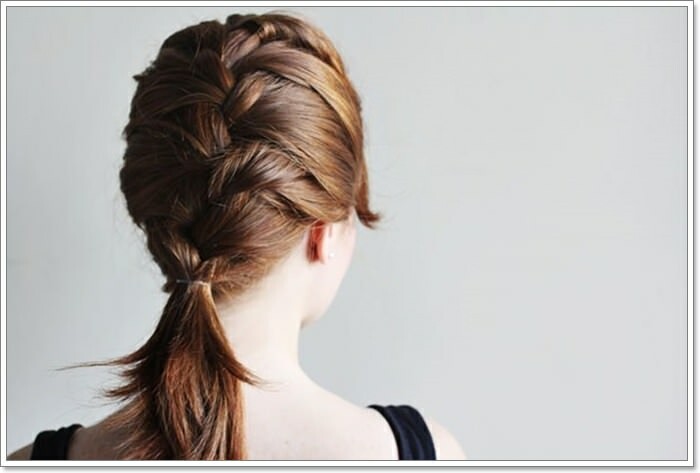 A simple yet very elegant french braid that holds the hair nicely in place. The sleek hairstyle looks spectacular and holds the hair nicely in place. Combining two distinct hair color helps with enhancing the overall outlook of the hairstyle. Tight braids add structure to the hair and also holds the loose hanging ends of hair in place. The hairstyle below looks magnificent with the underlying dark shades creating an adorable outlook. The braids are also done in a way that enhances volume and intricacy. Give your hair a balanced flow and movement with a loosely braided style. The french braid is such a dynamic style that works with different types of hair. The style below is slightly complicated and one can easily wear it without much trouble. 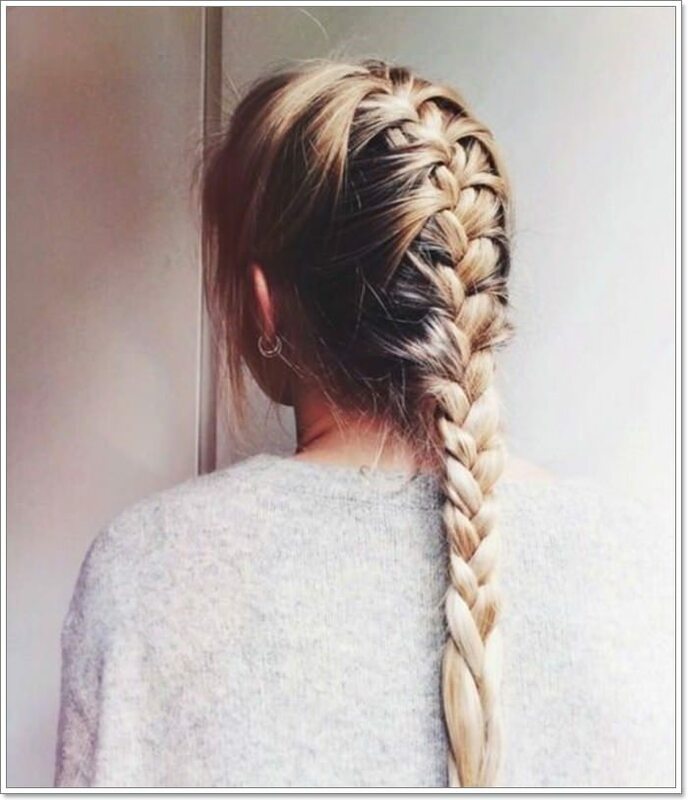 A beautifully braided french braid that holds all the loose hair tightly in place. The slightly tight braids add structure and volume to the hair in a way that’s so cool. The style also works well for both long and short hair. Wispy pieces with a loose french braid create a magical outlook. The hair looks quite soft and flawless which is quite visually appealing. The color shades used also makes the style to really pop in a magical way. If you are looking for cool ways to keep your hair simple and styled then french braids can be a great option. The hairstyle looks voluminous and also creates such an adorable outlook. The hairstyle below is extremely long and managing it can be such a challenge. 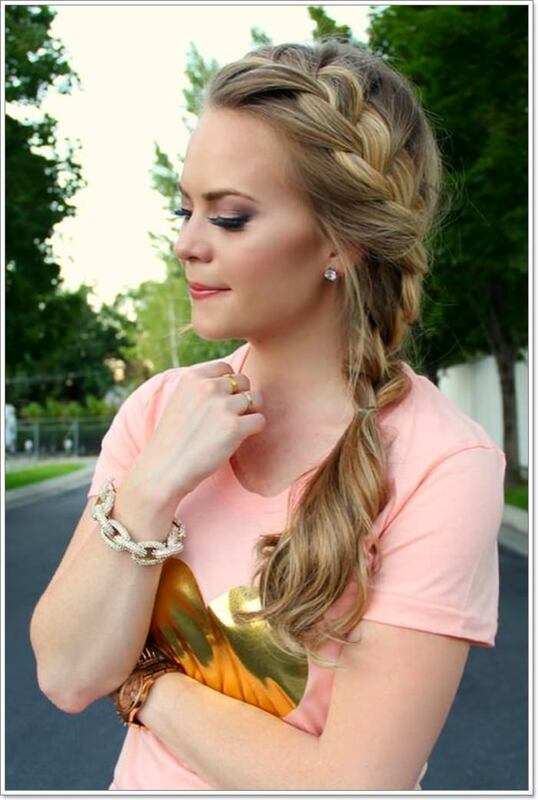 The sassy side braid is not only cool but also holds the hair nicely in place. 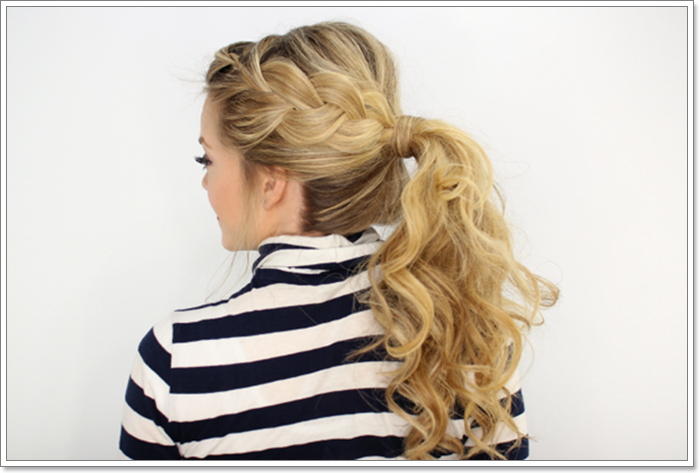 The golden blonde and dark shades create a beautiful contrast with the ponytail making the style to stand out. Such a magical updo with the back of the hair french braid creating a sweet contrast. The use of color adds to the intricacy of the style and makes it to be more appealing. The below hairstyle is suitable for official as well as a casual outlook. 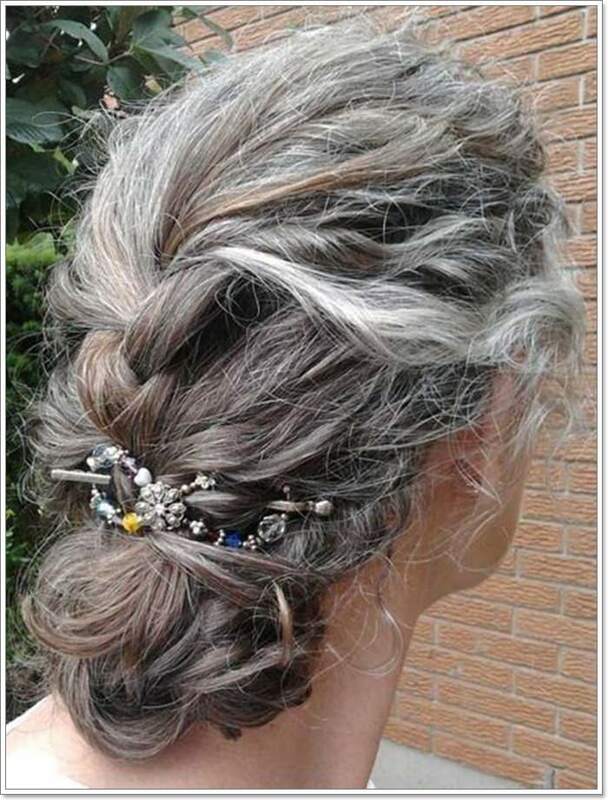 The elaborate braid is artistically styled and holds all the hair nicely in place. The platinum blonde shades in the style look cool and quite eye-catching. The three strand braid also expresses a flawless outlook. An easy style for a very relaxed outlook. 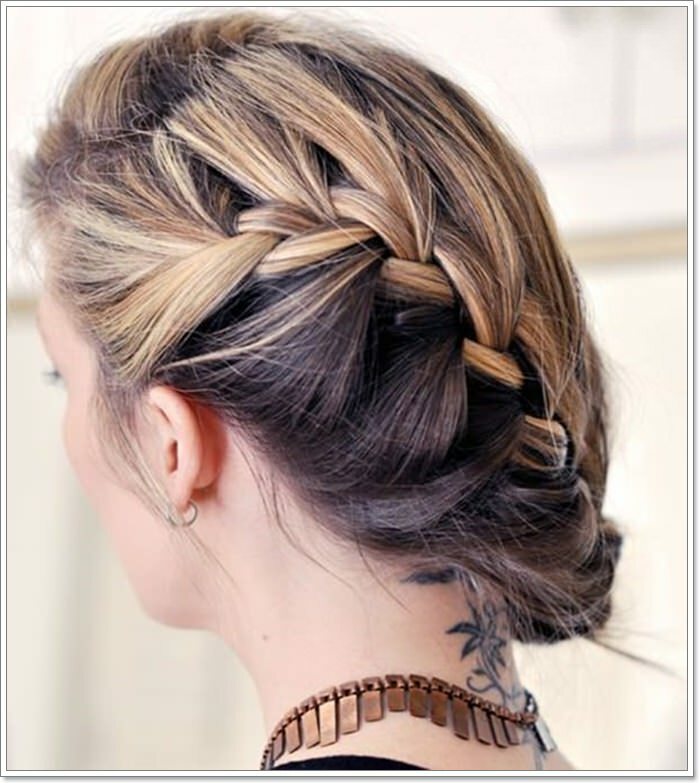 The three strands french braid are nicely fixed and shows a flawless look. The bright color of the hair also makes the style to be quite eye-catching. 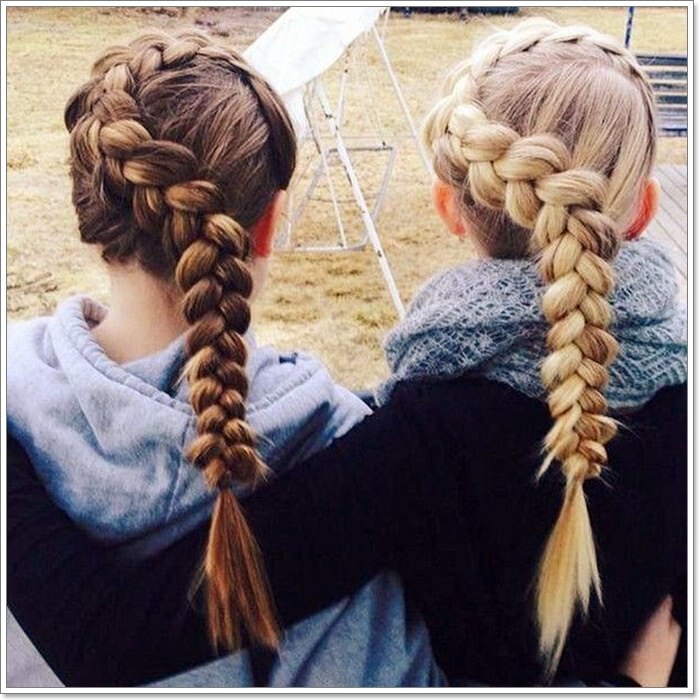 Similar braided hairstyles with the only difference being the color of the hair. The beauty of wearing braids lie in the fact that you can easily switch to what appeals to you at any given moment. 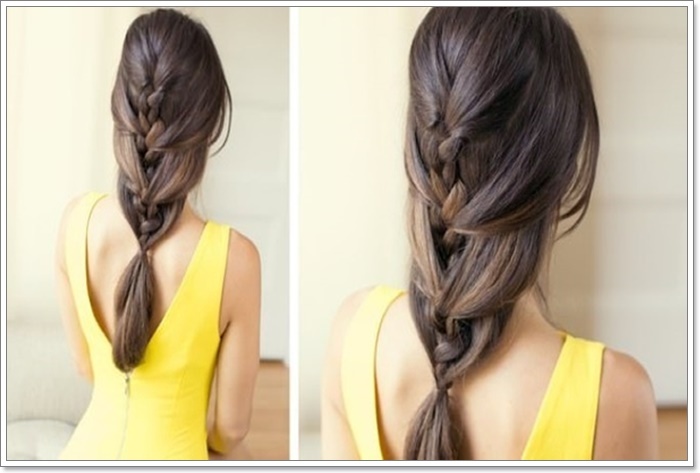 Apart from braiding the hair into tight strands, you can also add some contrast by styling the braid. The hairstyle below looks adorable with the colors used expressing such an appealing glow. All the loose hanging hair are nicely held in place which creates such a magical look. Wearing a braid all around the hair helps with holding the loose hanging hair around the hairline into place. The loose hanging hair can irritate at times however having the hair tightly braided looks comfortable. 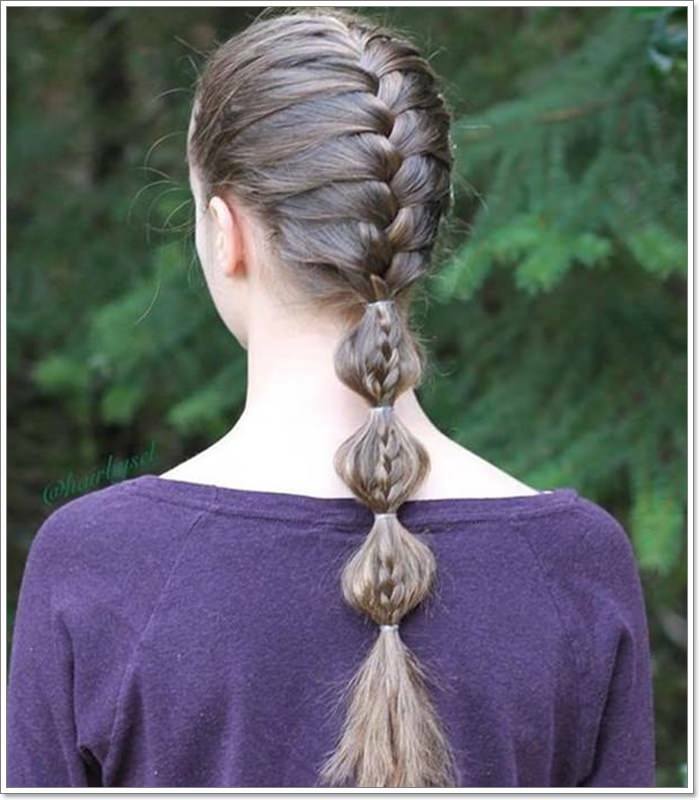 Straightened hair with the flowing french braid at the middle helps with reducing the hair volume. It’s also a great way that can be used to style long hair. The color used look adorable and blends well with the skin tone. Huge braids used in the style below holds the long hair nicely in place and creates a bouncy outlook. The bright golden color and the dark shades look spectacular and make the entire style to stand out. 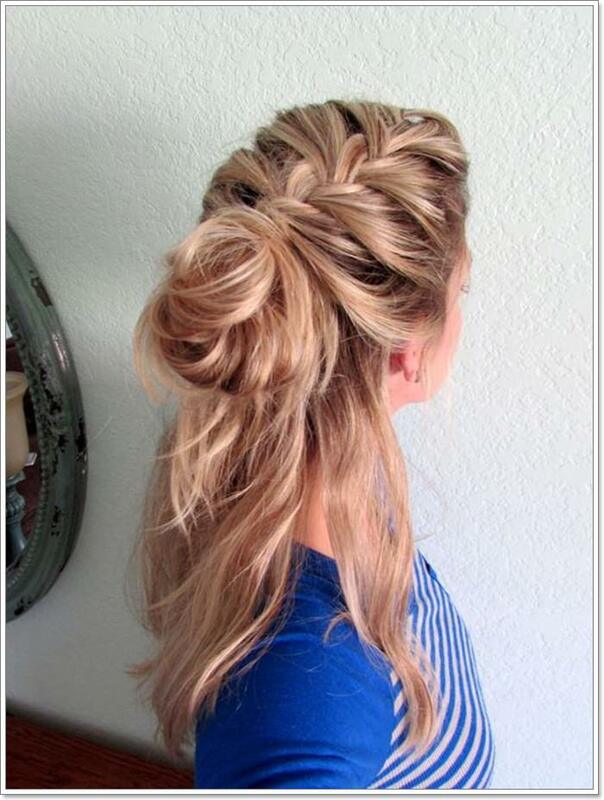 A nicely braided updo with the straightened layers creating a nice contrast. The colors used in the hairstyle makes the style to stand out. Both the sections of the hair adds elegance and some element of intricacy to the hairstyle. This is an excessively sleek hairstyle with the french braid holding the loose hair nicely in place. The brown and golden highlights also combine well and create such a dynamic contrast. Hair braiding is one of the easiest and cutest ways to do your hair. Its also in a way enhances that natural and feminine outlook. Before you settle for any hairstyle, ensure that the style in a way inspires you. Once you have mastered how to style french braid, you can easily explore other types of braids for a more intricate outlook. The style below looks simple and quite relaxing to wear and works well for long hair. 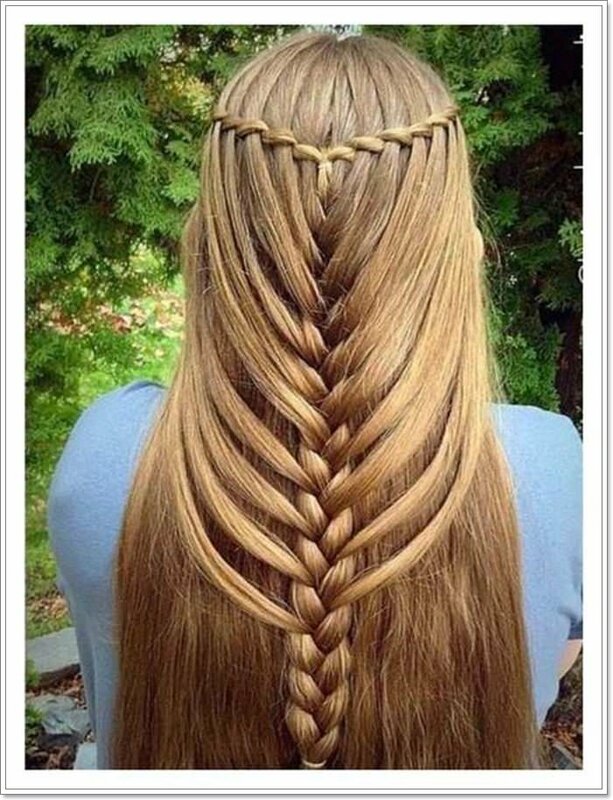 This is an amazing hairstyle especially for those with long hair. The bright colors look spectacular and reflect beautifully on the wearer. The underlying black color used in the style makes the hairstyle to pop beautifully. 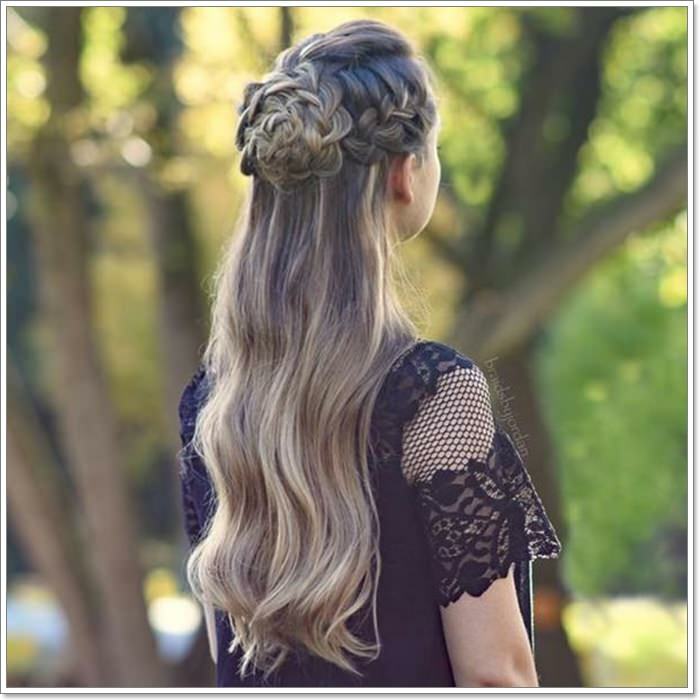 If you’re looking for a glamorous style that will leave heads turning then consider the french braid style below. If you want to achieve this look then its advisable that you straighten your hair well before braiding it. 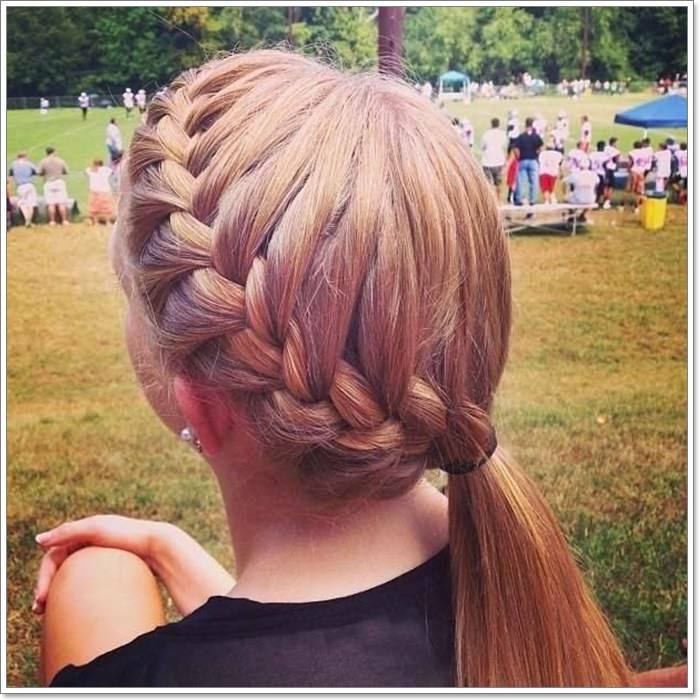 The below french braid looks cool and holds the loose hair nicely in place. The style is suitable for both short and long hair and holds it all in such an appealing way. The side french braid is not only cool but also create such a relaxed outlook. The streaks of golden brown and platinum blonde are visually appealing with the hair also flowing effortlessly. If you want to achieve a relaxed look that works for any occasion then consider going for the style below. 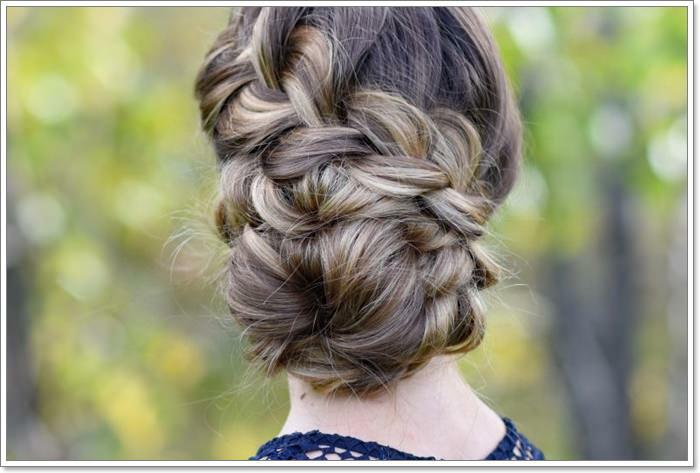 Messy inverted french braid is such an appealing hairstyle that can work for any occasion. 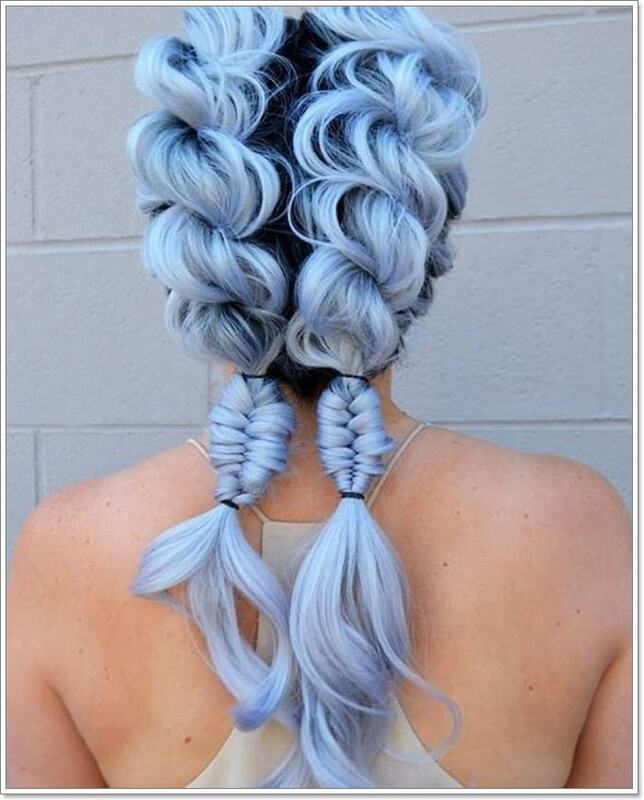 The beautiful shades create such an adorable outlook and make the hairstyle to stand out. The hair is quite long which gives one diverse option to make it outstanding. 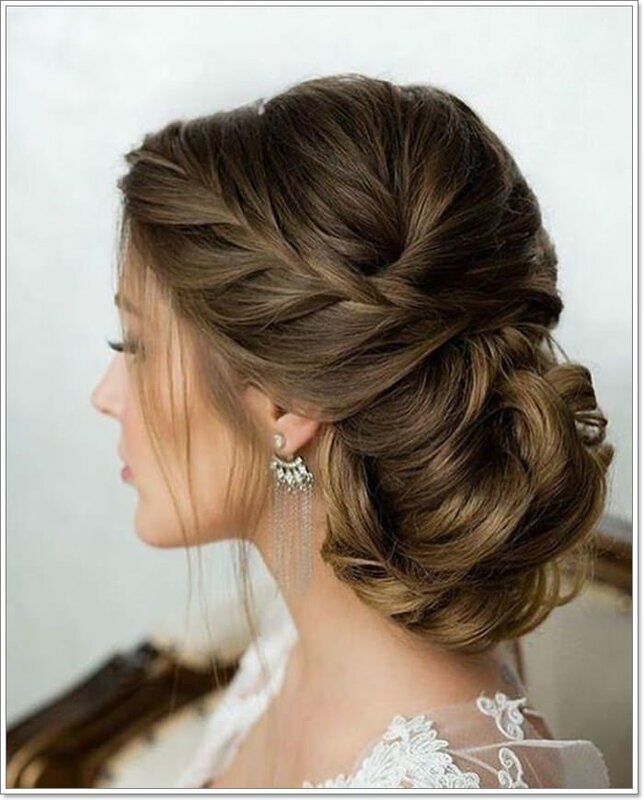 This gorgeous updo will keep your hairs well styled and elegant. The underlying dark shades create a beautiful contrast make makes the style to really pop. The texture is soft enough and works well with loosely fitted braids. 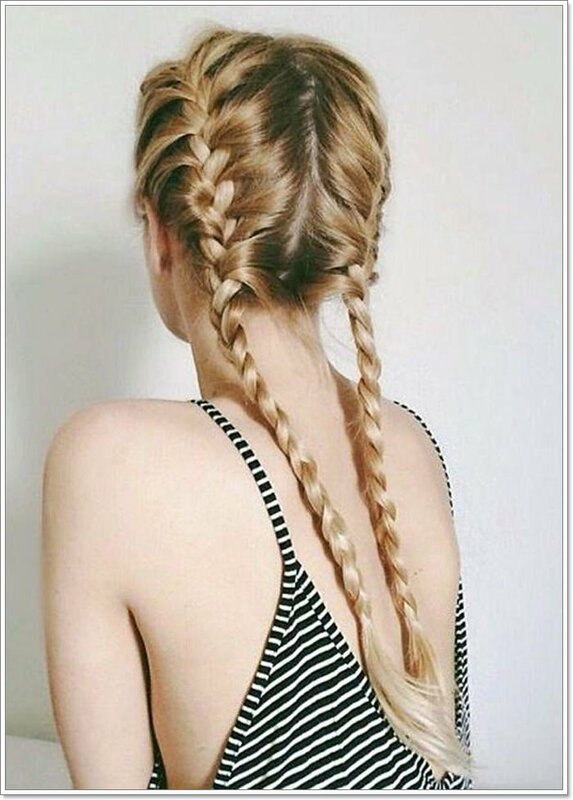 The simple french braids make the messy hair to look styled and elegant. The accessories used in the style also add to the beauty and intricacy of the style. You can opt for the style to keep the grey hair trendy and adorable. Such an adorable piece of style with the flowery elements creating such an eye-catching appeal. 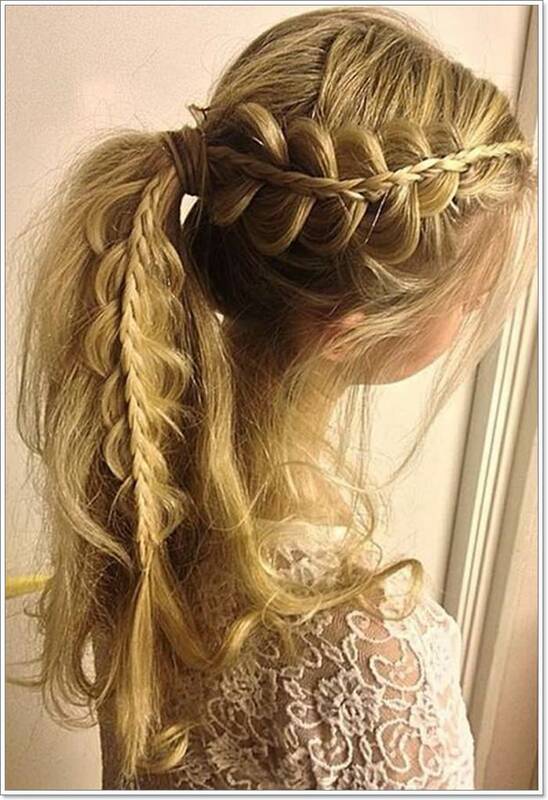 The hairstyle looks elegant and flawless with the braid holding it nicely in place. 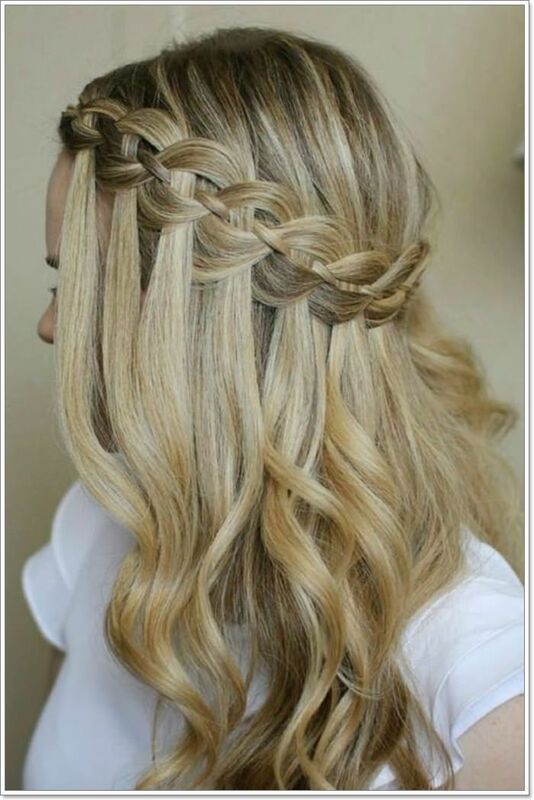 The braid is also styled in a way that gives the hair a beautiful shape and dimension. With many braiding options to choose from, consider going for a style that suits your hair well. 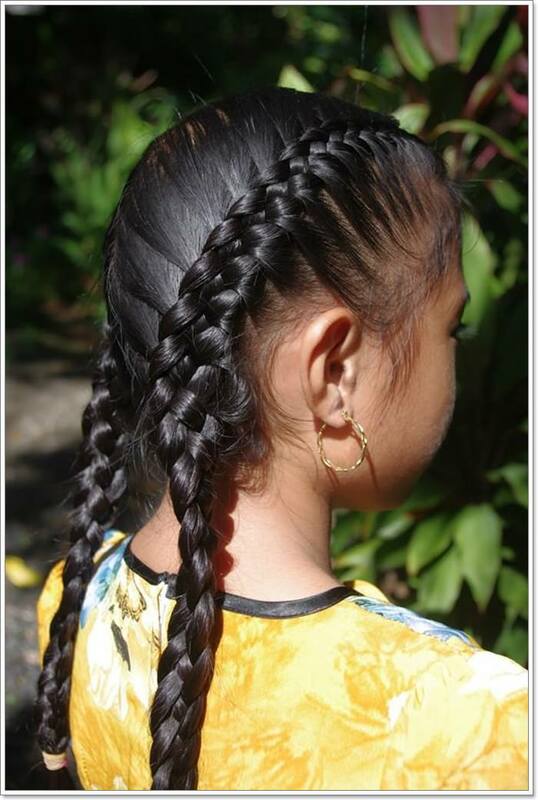 The hairstyle below looks intricate with the crisscrossing braids holding the hair well in place. The color of the hair is another key thing that also makes the hairstyle to stand out. Loose braids show a relaxed outlook that’s ideal for any casual setting. The french braid looks cool and holds tightly towards the end. The one color used in the hairstyle also makes it to stand out. The beauty of this braid lies in the fact that it can be worn for any occasion. The braids are styled in a way that adds dimension to the hairstyle. To achieve the look, you need to straighten the hair for an appealing outlook. The styling is quite intricate considering that it not only wraps around the head but also flows all the way to the bottom of the hair. Combination of loose braids with tight ones adds depth and dimension to the hairstyle. The shades used in the hairstyle also look great and adds some depth to the style. For a unique outlook, you can incorporate styles that you find to be appealing and something that resonates with your style. A big mess bun holds the braids in place and adds shape to the style. The underlying dark shades with the highlighted colors also make the style to pop in such a cool way. The below style is so adorable with the color highlights creating such a magical outlook. The voluminous updo is a magnificent style and combining it with a braid from the back create a cool contrast. The one color used in the style makes it stand out. If you are not into very tight braids then you can consider a loosely braided style like the one below. 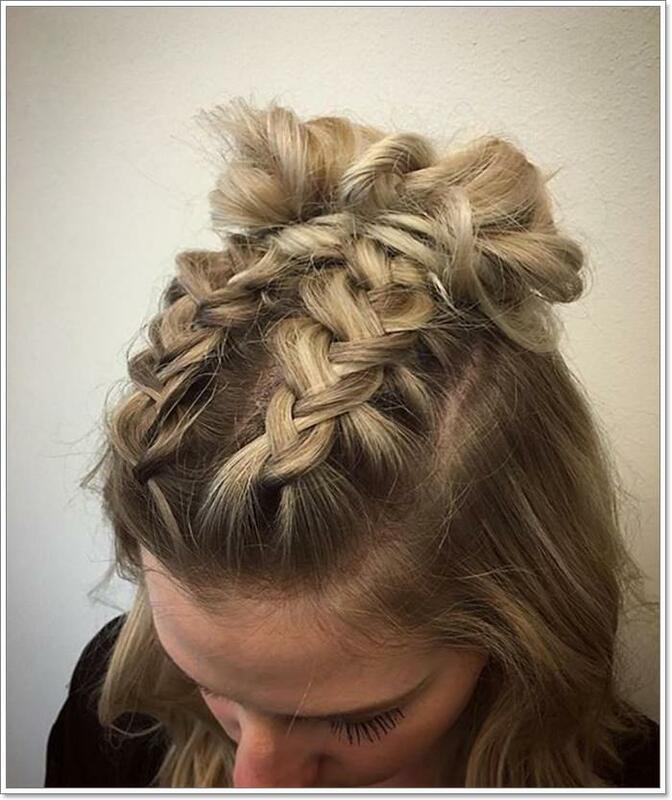 This is one complex braiding style that requires the involvement of a stylist. 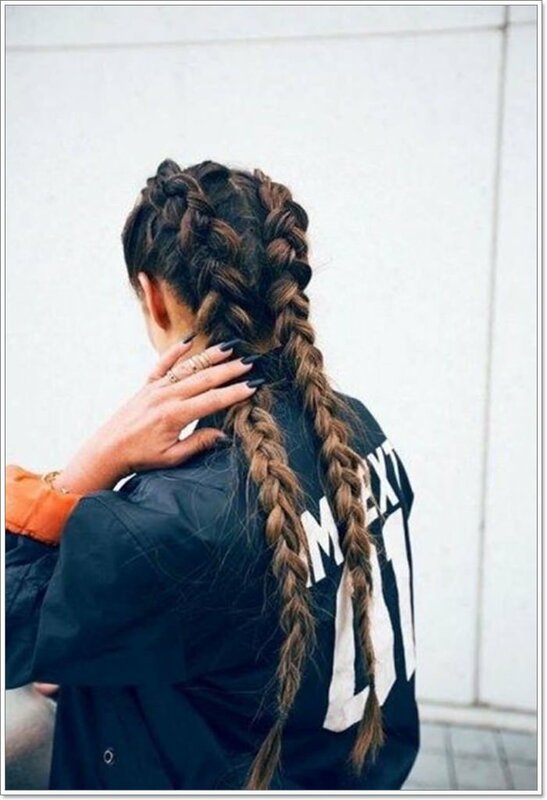 The braiding technique looks complex but quite appealing with the small knots of hair holding nicely n place. The color used in the hairstyle creates such a glamorous outlook and makes it to stand out in a beautiful way. A simple version of french braid with the hair held nicely in place. 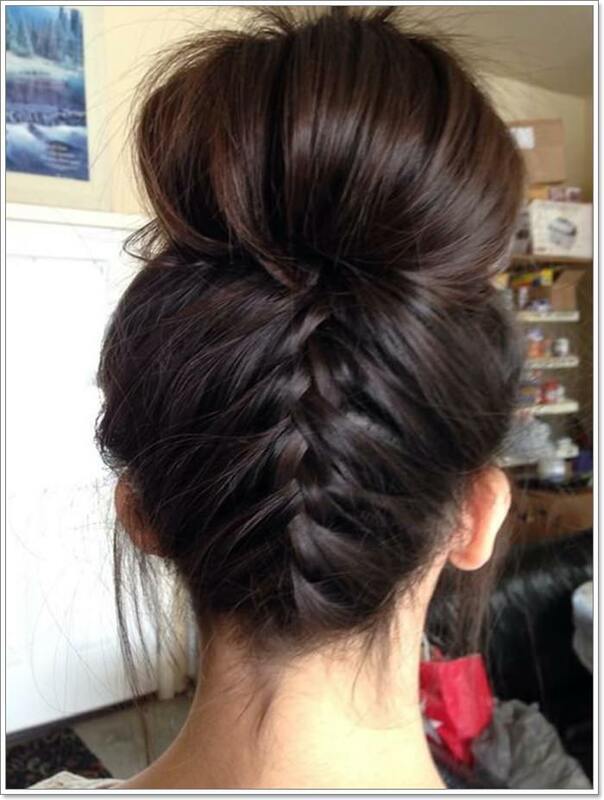 The messy bun also creates a nice contrast which makes the style to look unique. The hairstyle below is suitable for a casual occasion as its done in such a relaxed way. 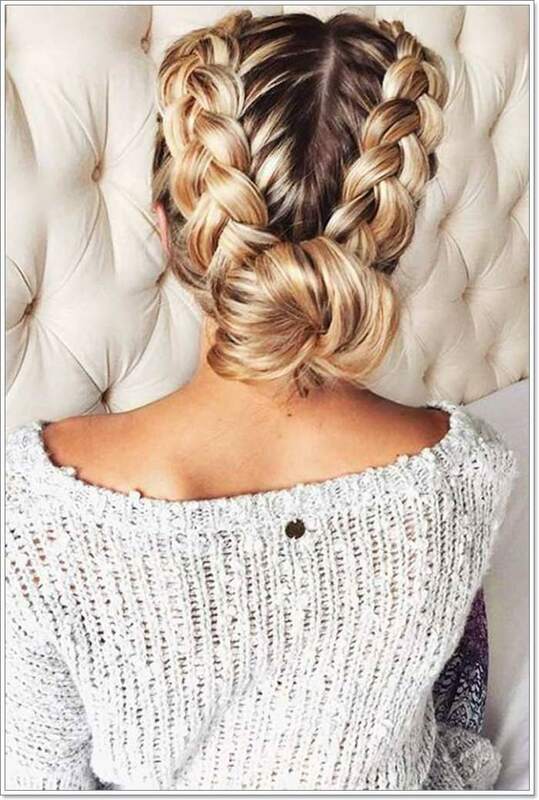 The whole round hair french braid is a nice way of holding a voluminous hair in place and also preventing the loose ends from getting to the face. 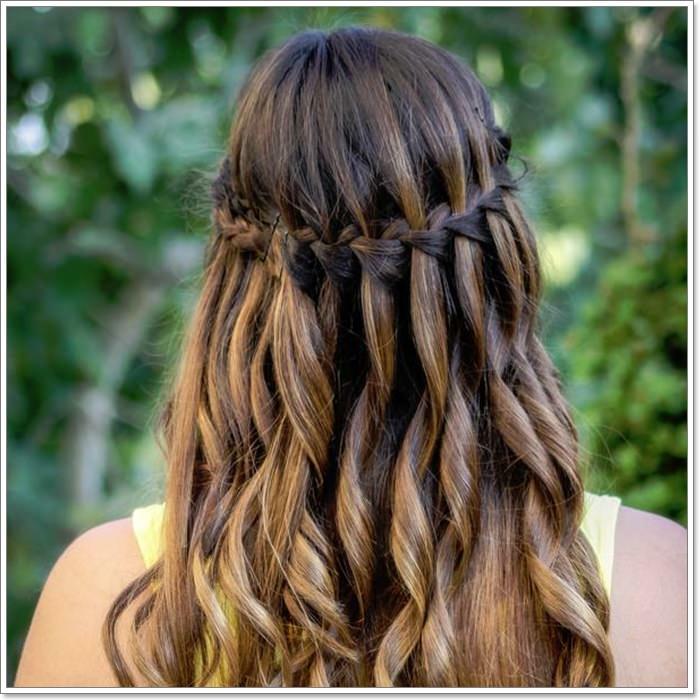 The round french braid looks adorable end expresses the loose wavy layers of hair beautifully. 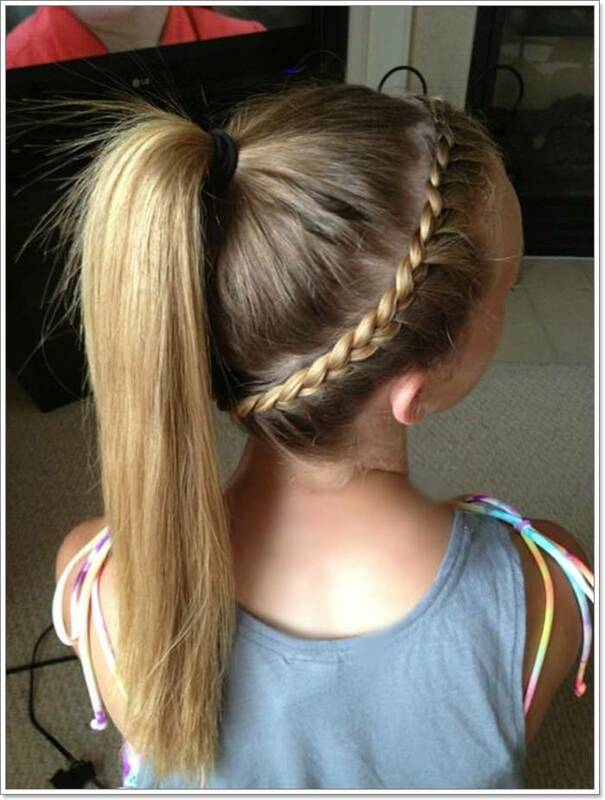 Adorning a center braid with the sides loosely straightened create an adorable outlook. The shades used and the classy outlook makes the entire style to stand out. The style can be considered if you intend to hold a voluminous hair in place. Making a casual braid is something that can hardly go wrong. Whichever way you opt to style the hair, you are more likely to come up with a unique outlook. The use of a scarf in styling the braided hairstyle below adds to the intricacy and elegance of the style. Such a subtle french braid that’s hardly visible with the hanging layers of hair making it to stand out. The hairstyle looks voluminous and expresses an adorable outlook. 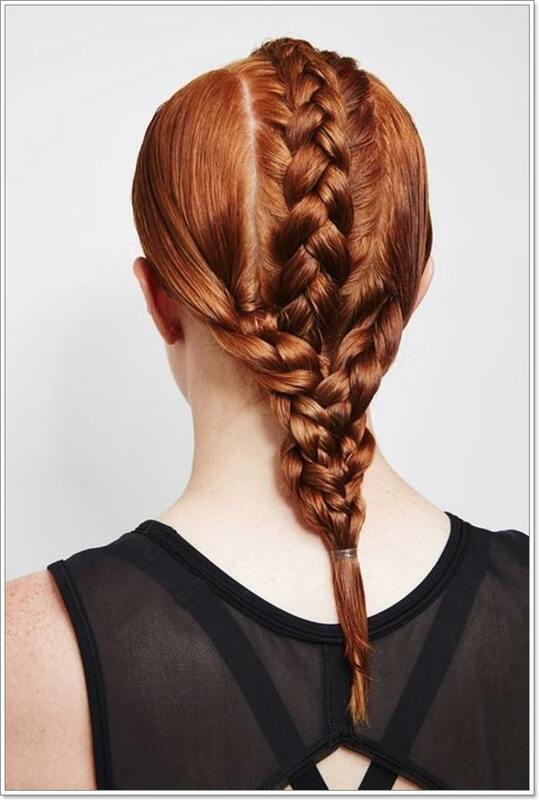 The subtle way in which the braid is fixed makes the entire style to standout. This is a simple french braid that one can easily style however it’s still fine to find help. The hairstyle looks cool with long hair and also quite simple. The combination of color is one aspect of the style that makes it to stand out. The combination of brown color and the dominant black color creates such an appealing outlook. 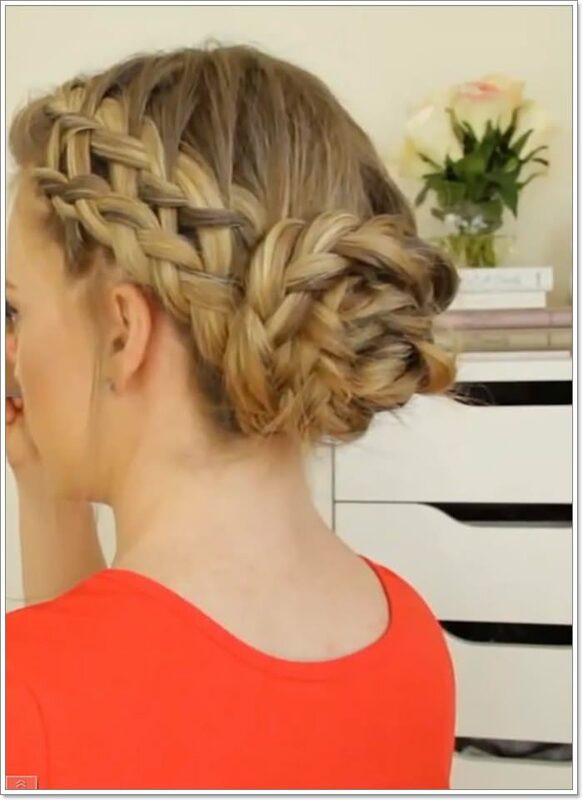 A simple and classy french braid hairstyle that looks adorable on the hair. The underlying dark colors make the golden blonde style to pop in a beautiful way. If you are looking for a style that you can wear for a casual occasion then consider going for the one below. 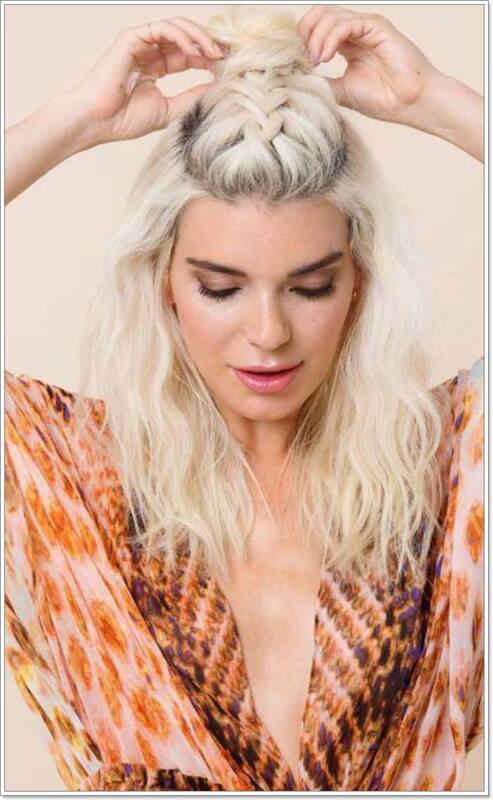 Keep flowing hair off your neck and shoulder with a great summer look. The braids are tight enough and hold the hair nicely in place. If you find this style to be appealing then you can try out the different methods used in the style. 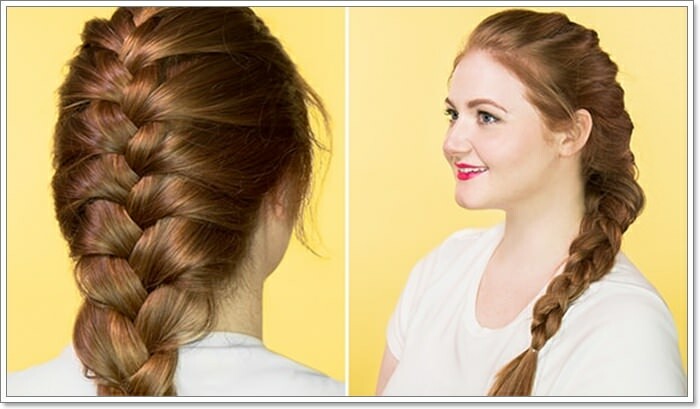 Once you settle for a french braid to wear, the next step is to learn how you can make it. There are a variety of braids that are simple enough and you can easily learn how to make them. The braids don’t have to be so long to look beautiful, you can still have just a few strands of hair braided then join it all in a ponytail. 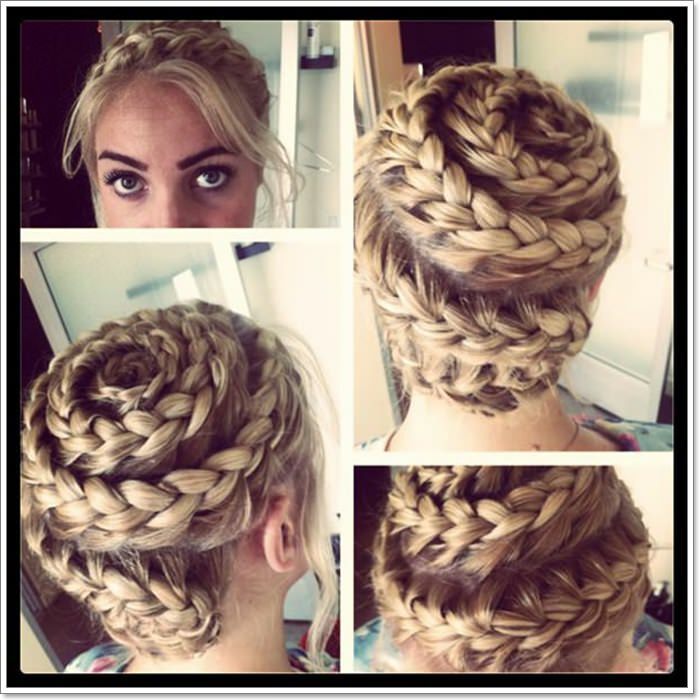 Braids are suitable for weddings and formal occasions and they can be such a masterpiece if well styled. The braids can also be accessorized with pins and other hair styling elements for a classy outlook. The style below looks magical with the dark and golden brown shades blending beautifully. This crisscrossed braid is an ideal way of styling your French braid. The braids are tightly fixed and hold the voluminous and thick hair nicely in place. the style is suitable for casual occasions and looks great on small girls. 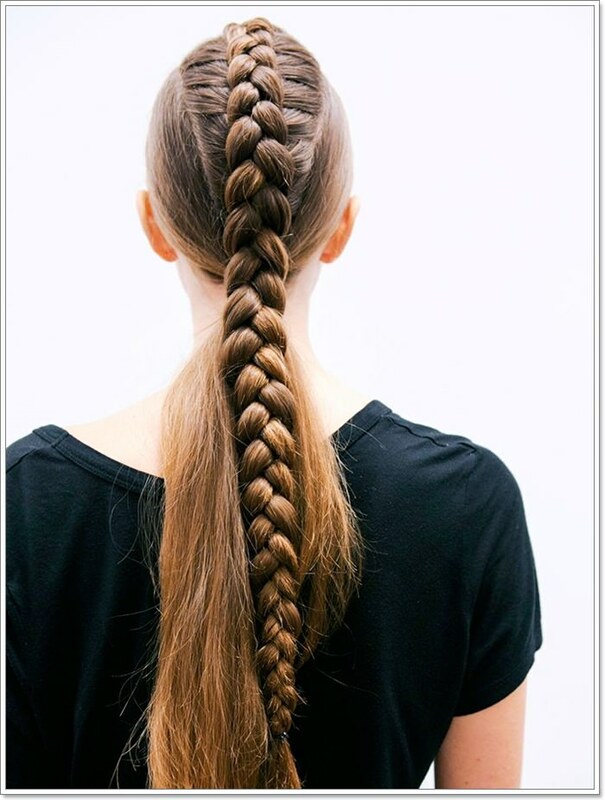 The all-around french braid looks great with long hair as it holds the upper layers of hair in place. You can still enjoy the outlook even if you are not blessed with long, thick hair. Consider using extensions for an alternative nice outlook. 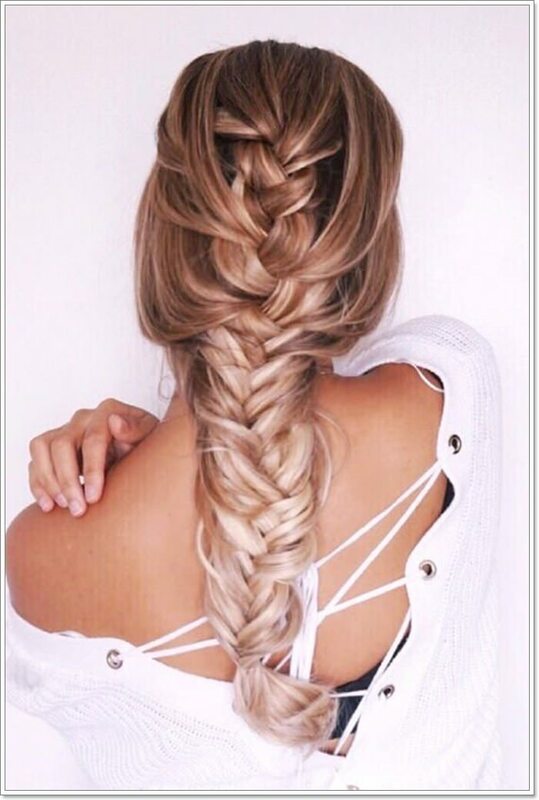 A beautifully braided fishtail french braid that makes the style to look so cool. All of the loose hair is beautifully held in place in a way that looks adorable. The hairstyle is suitable for long hair as it holds the voluminous hair intricately in place. Simplicity is a key factor to consider when opting for wearing french braids. If you have to do the braids on your own then you need to keep practicing with simple styles until you get what is more appealing. 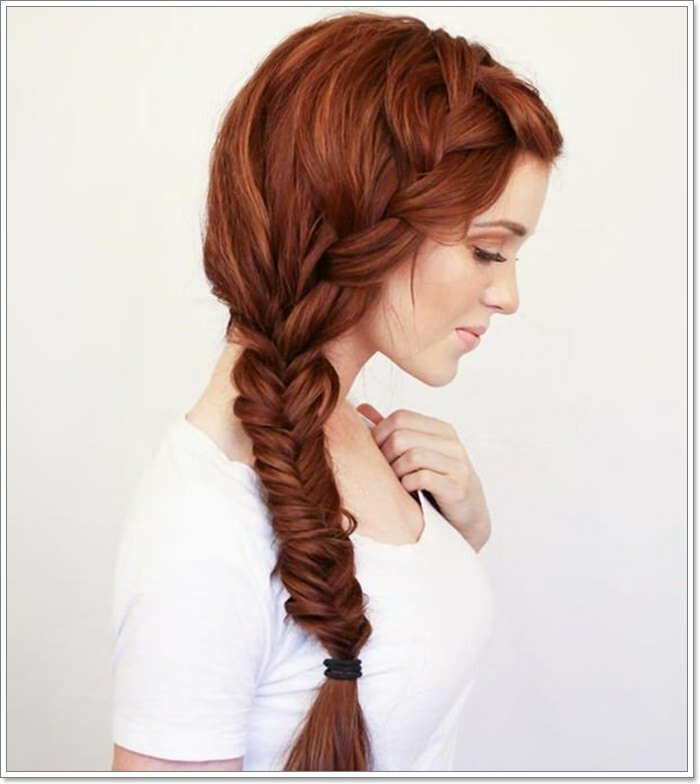 The side fishtail braid looks spectacular and holds the hair nicely in place. The fact that there is no loosely hanging hair makes the style to be quite adorable. Use of one color on the hair is adorable and makes the hairstyle to stand out in such an adorable way. Even with braids, one can still recreate such a versatile and complicated look. It all depends on the choice of the braid and how you decide to wear it. 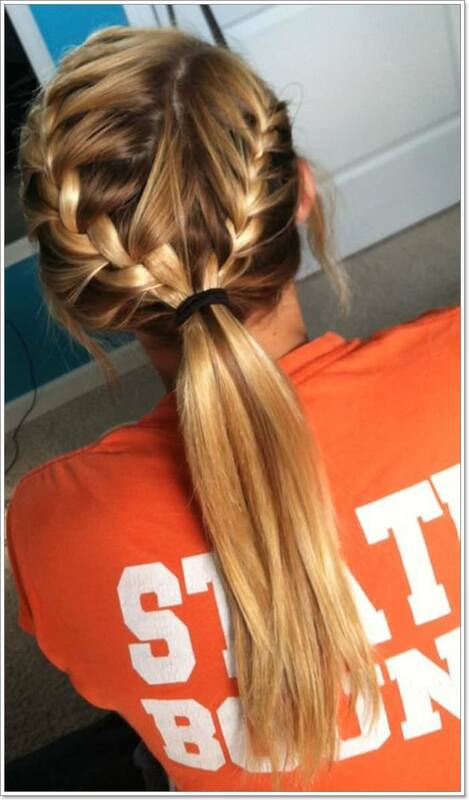 The double braid style looks adorable and makes the style to stand out in a cool way. Loose hair that hangs over the face can be irritating at times. 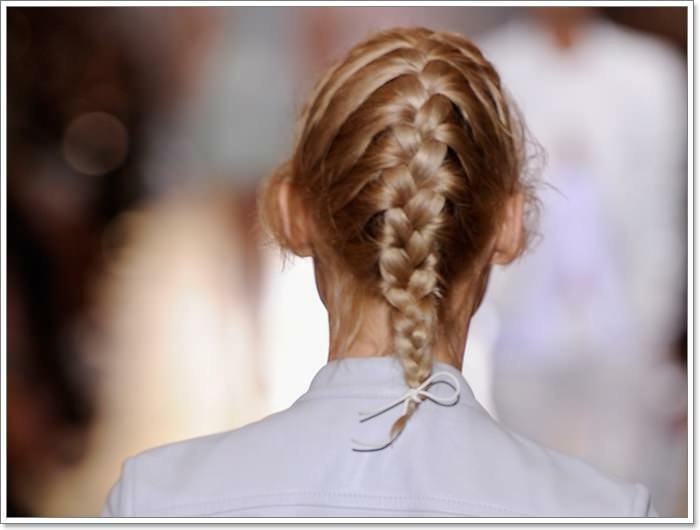 Wearing a french braid like the one below helps with holding the loose hair nicely in place. 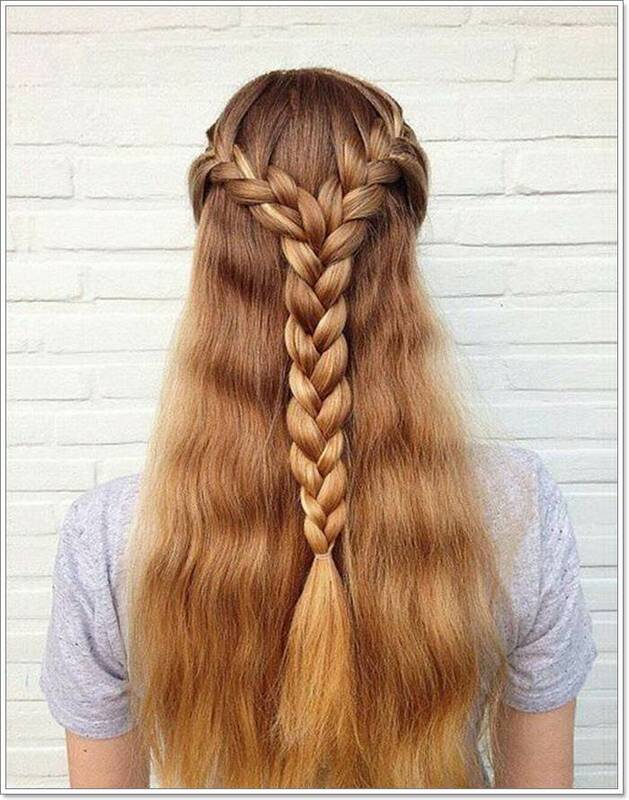 The length of the hair should also help with determining the style of the braid to use on the hair. Wearing a side french braid is not only classy but also holds the hair nicely in place. 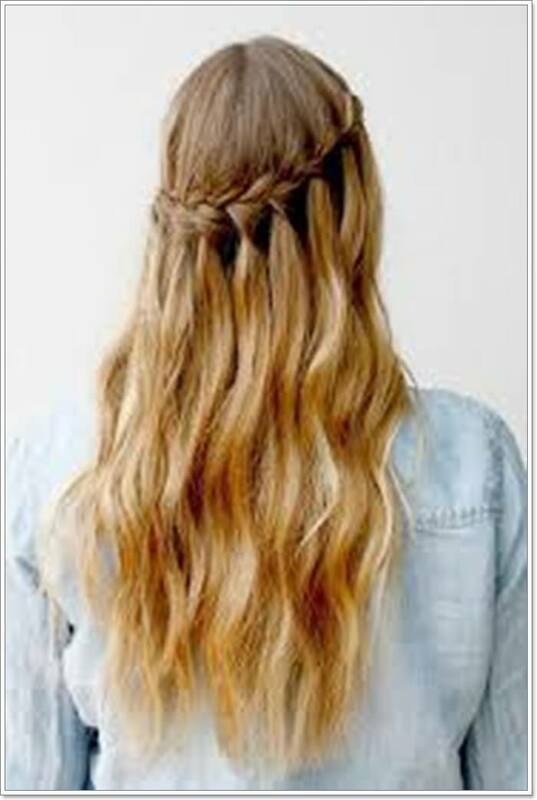 For a wavy hair like the one below, the waves need to be styled before the braiding can be done.The wavy ponytail makes the style to look quite versatile and appealing. 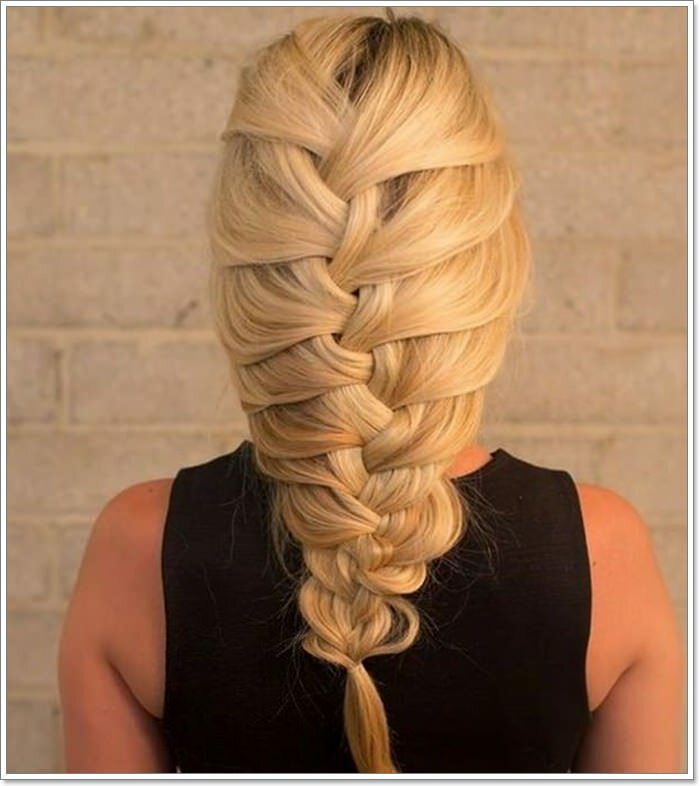 Braiding the entire hair is another cool hairstyle that one can consider wearing for a casual occasion. The style looks cool and holds the hair well in place. the loose hair left at the front area also adds to the dimension and creates an appealing outlook. The braids look adorable on the young one with the flawless hair making the style to pop. The combination of platinum blonde and the golden shades also create a nice contrast. Wearing braids helps with keeping the loose hair off the neck and face area. Keep it simple and classy for a casual day like in the style below. The hairstyle is simple and the braids give it the shape and dimension needed for a great outlook. Colors have a way of making a hairstyle to stand out and combining colors that blend well is vital for a magical outlook. 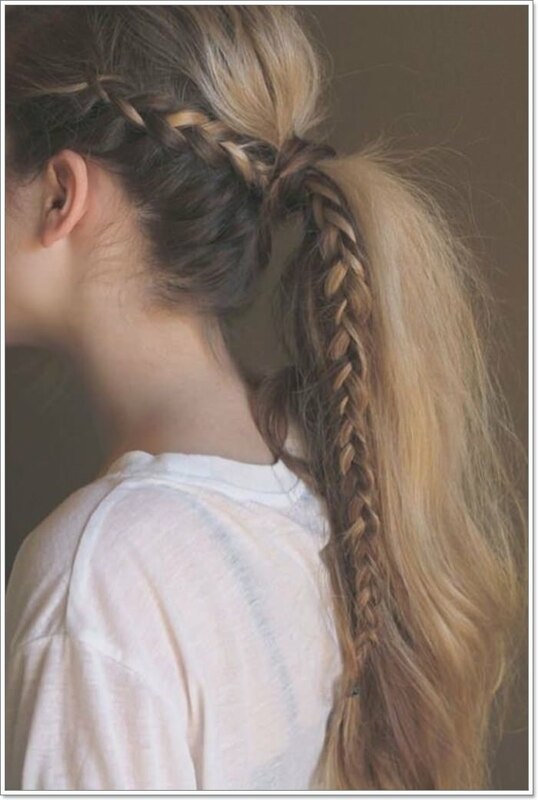 Such an adorable hairstyle that looks perfect on long hair. 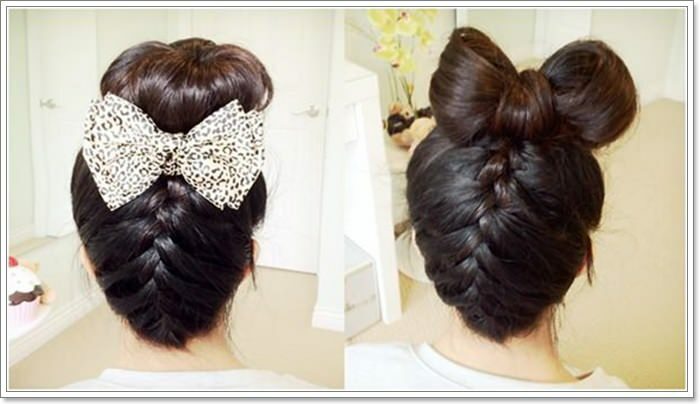 The different hues used in the style makes the entire hairstyle to be quite eye-catching and adorable. If you are looking for a glamorous style that can be worn for any occasion then consider the style below. If you are into something that’s not only classy but also adorable then consider going for the below hairstyle. The humongous french braid looks intricate and also holds the voluminous hair nicely in place. 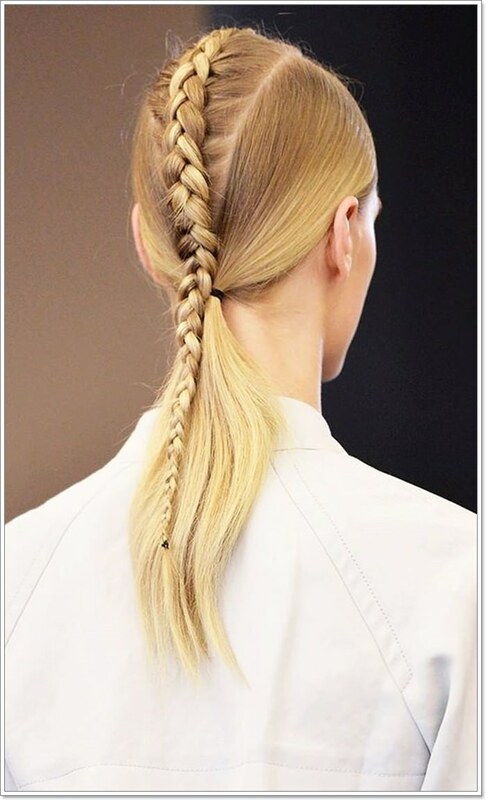 A magnificent braiding style that works for any occasion. Apart from holding the hair nicely in place, it also adds an adorable outlook to the hairstyle. If you find hair that gets to the neck and face area to be irritating then you can opt for a style as the one below. 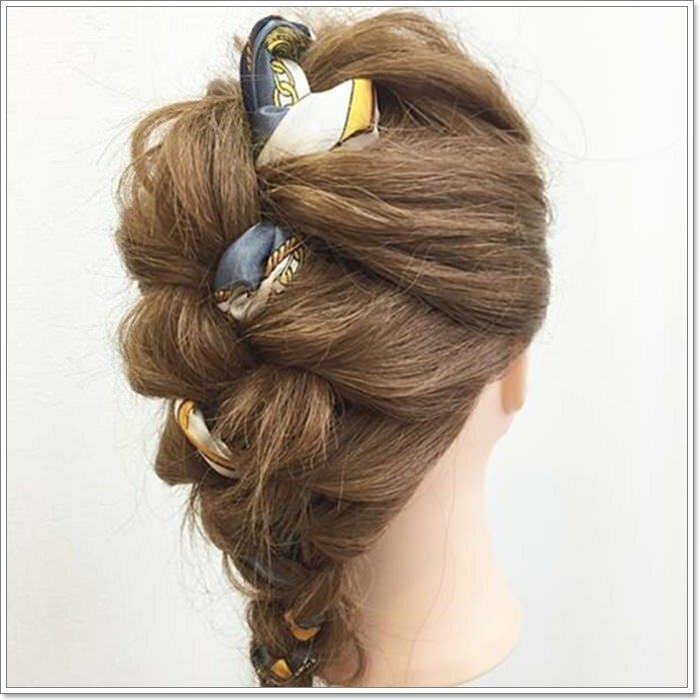 This is a gorgeous hairdo that will keep your hair classy and styled. The french braid is not only beautiful, it is also styled in a way that makes the design to be quite eye-catching. Attaining such a style is possible with hair that’s already straightened as that lead to such a flawless outlook. Managing such long hair is never easy and one has to be equipped with easy braiding styles that can be used. Braids help with holding the hair in place without compromising on the overall outlook. 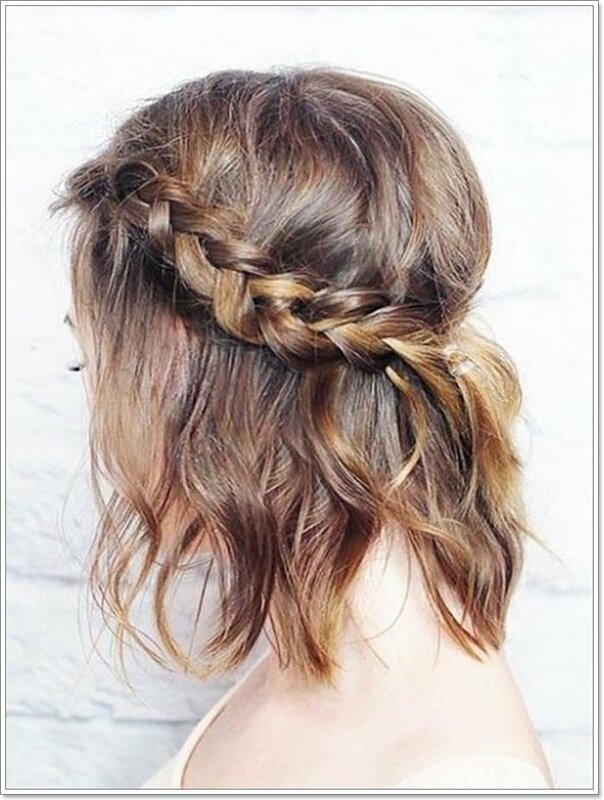 If you are looking for a braiding style that’s ideal for both for both formal and casual events then you can opt for the below style. With many styles of french braid to choose from, you need to settle for a hairstyle that looks great on your hair. 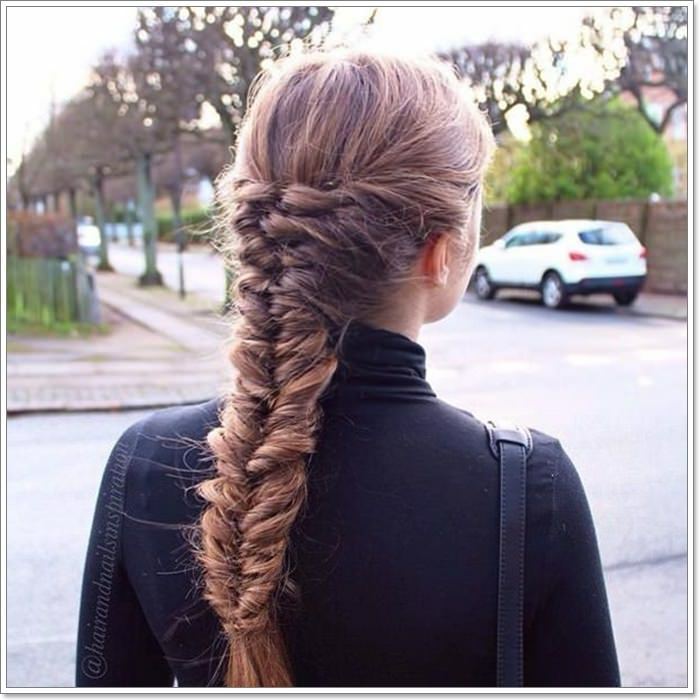 The fishtail hairstyle below is not only cute but also expresses intricately styled hair. A simple fishtail french braid that makes for a casual and adorable outlook. 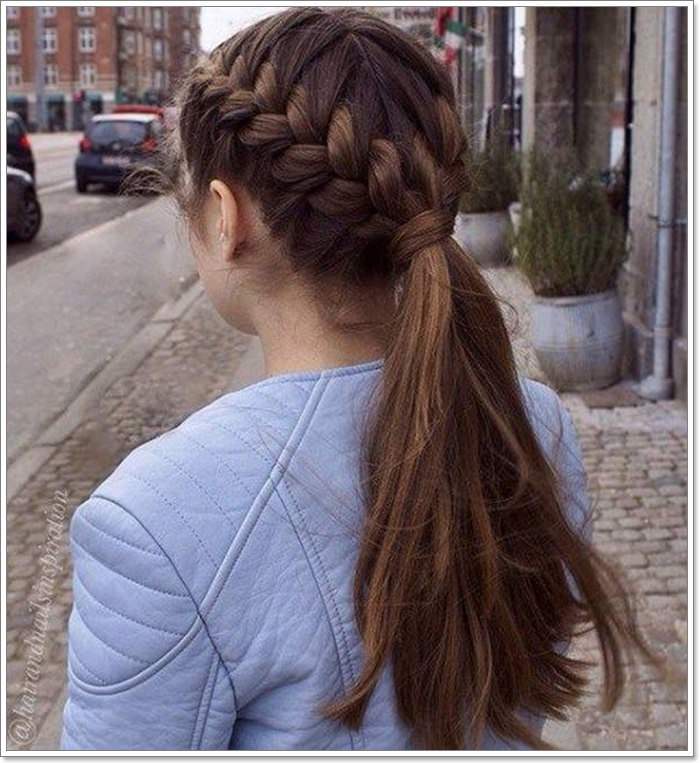 It’s a nice way to hold long hair in place with the simple knots adding style to the hair.Braids work well for both long short and long hair and whatever the preferred style should add some glam to the style. An adorable side french braid with a ponytail. It’s a cool way to style up soft and relaxed hair for an eye-catching overall outlook. The color of the hair is on its own adorable and the style also is also easy to create. An ideal braid for short hair that eventually leads to an updo. The hairstyle looks relaxed enough with the braid enhancing its visual appeal. The few loose strands of the hair also create a relaxed outlook. 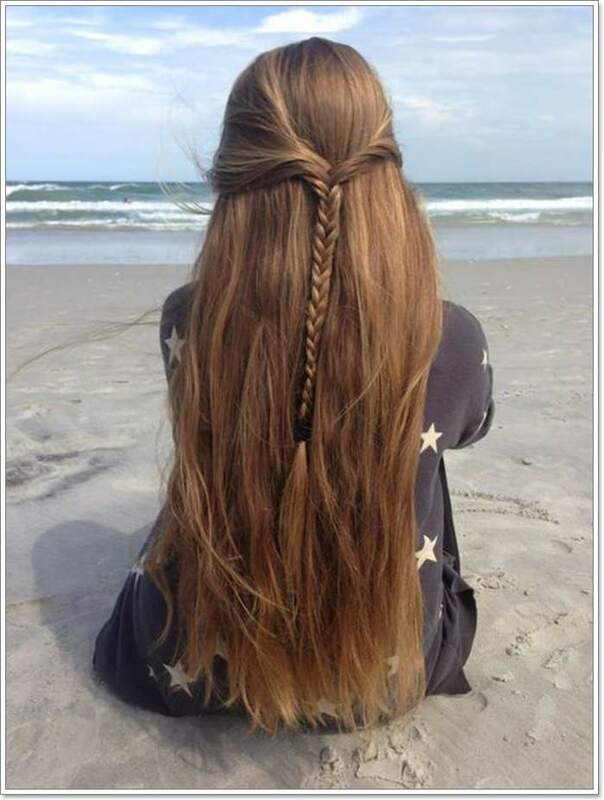 If you have long hair then you can consider trying out this amazing style. It looks cool and brings out the layer of hair so beautifully. The use of color is also adorable with the style creating a magnificent outlook. Side french braid is a cool style that works with straightened hair. The braid is tight enough and holds the loose hair nicely in place. The length of the hair and the ponytail adds to the beauty of the style.